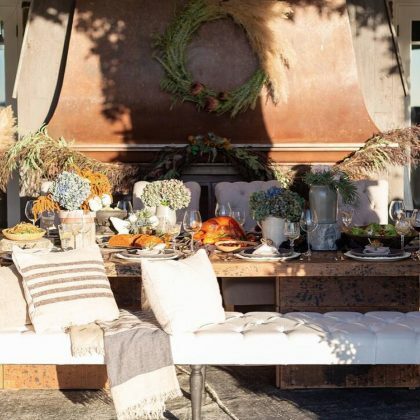 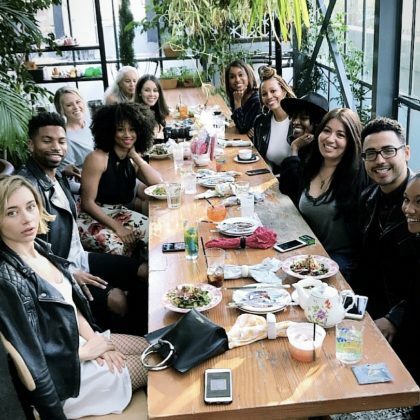 Jessica Simpson thanked Los Angeles, CA, USA’s Bowen House interior design company “for making my ‘California Harvest’ table dreams come true” when she hosted a Friendsgiving celebration in November 2018. 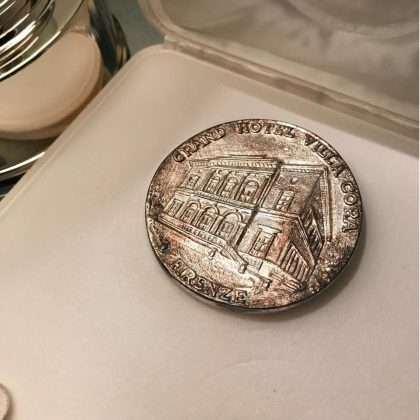 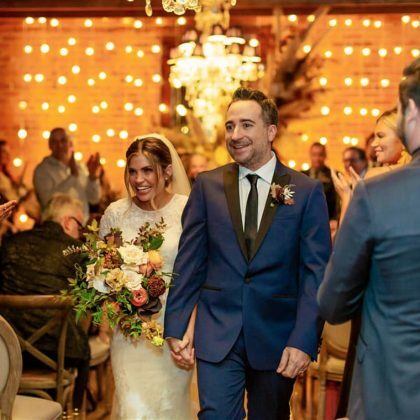 Danielle Fishel got married at Los Angeles, CA, USA’s Carondelet House event venue in November 2018. 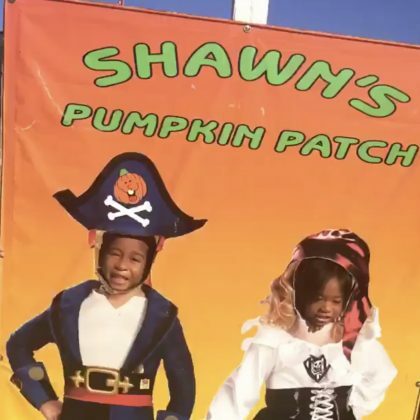 Omarion brought his kids to Shawn’s Pumpkin Patch in Culver City, CA, USA in October 2018. 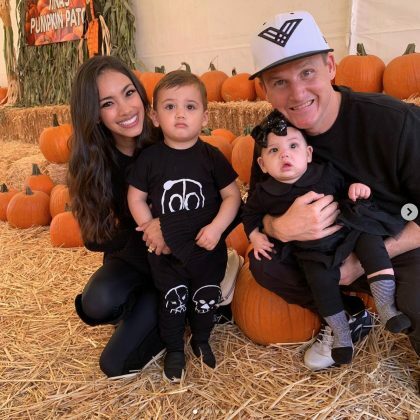 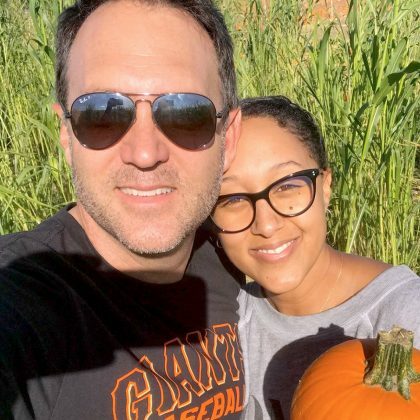 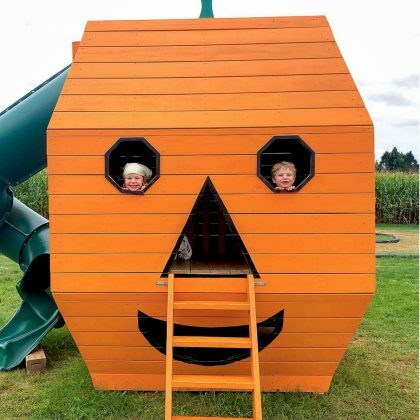 “Halloween season always starts with a trip to Tina’s Pumpkin Patch” is what Rob Dyrdek shared in October 2018 while with his family at this pumpkin patch in Sherman Oaks, CA, USA. 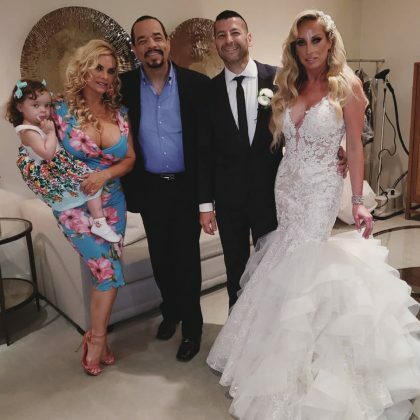 Ice-T and Coco attended a wedding at Huntington, NY, USA’s Harbor Club at Prime in August 2018. 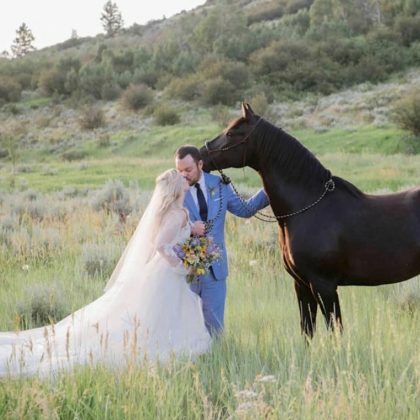 Whitney Port traveled to Aspen, CO, USA’s T-Lazy-7 Event Lodge in August 2018. 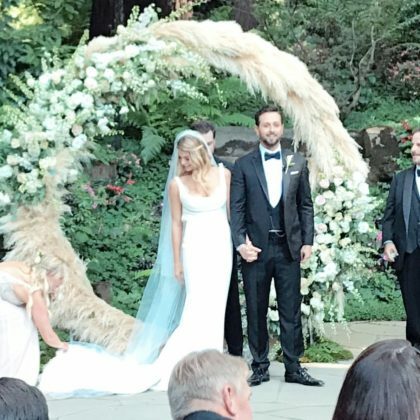 Ashley Greene got married at Los Gatos, CA, USA’s Nestledown in July 2018 in front of family and famous friends, inclduing Brittany Snow, Aaron Paul, and Lauren Parsekian. 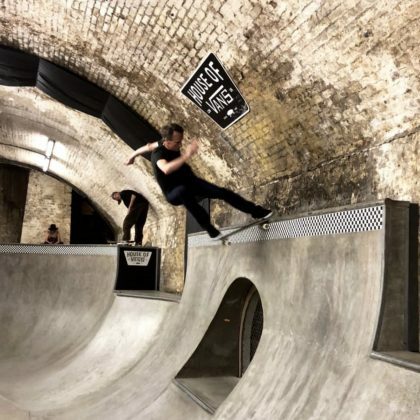 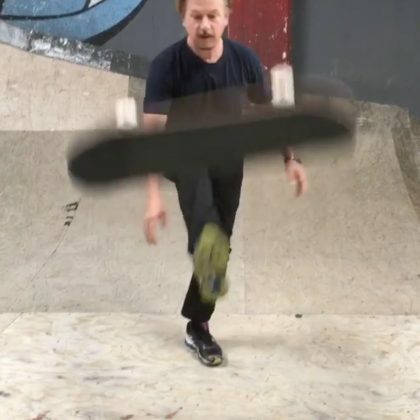 Tony Hawk thanked London, England, UK’s House of Vans, London “for the session” in July 2018. 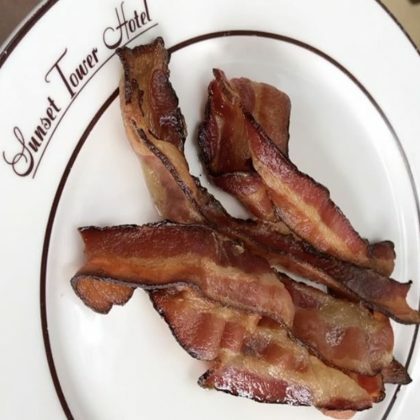 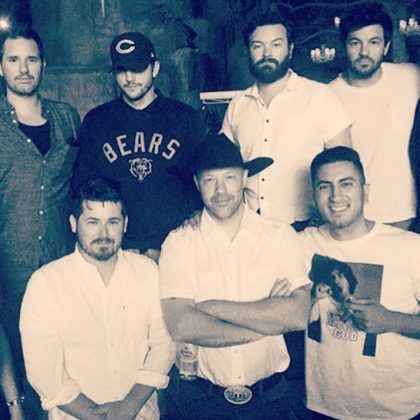 Taylor Lautner checked into Thompson’s Station, TN, USA’s Homestead Manor event venue in July 2018. 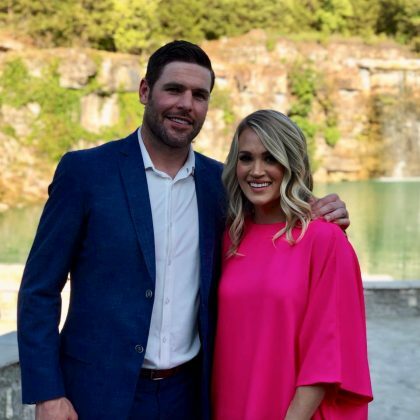 Carrie Underwood shared a shot of “me and my favoUrite Canadian” at Franklin, TN, USA’s Graystone Quarry to celebrate Canada Day in July 2018. 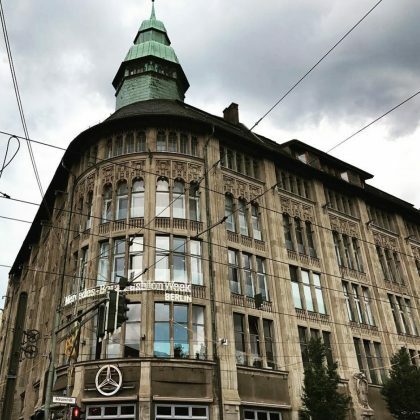 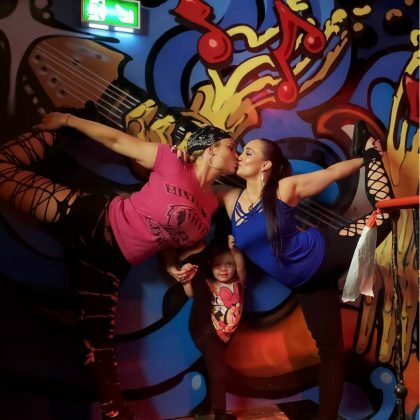 Coco struck a yoga pose with her sister when they were at Hamburg, Germany’s Grossefreiheit 36 in June 2018. 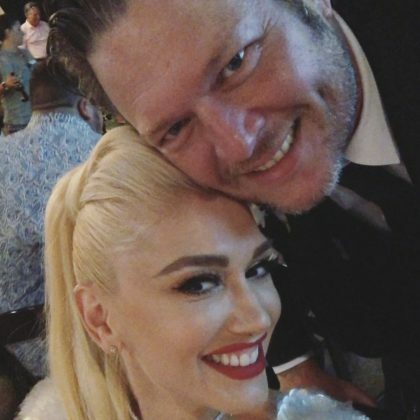 Gwen Stefani was Blake Shelton’s date to a June 2018 wedding that took place at Fort Worth, TX, USA’s River Ranch Stockyards. 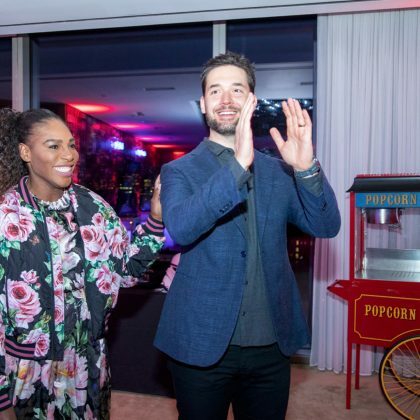 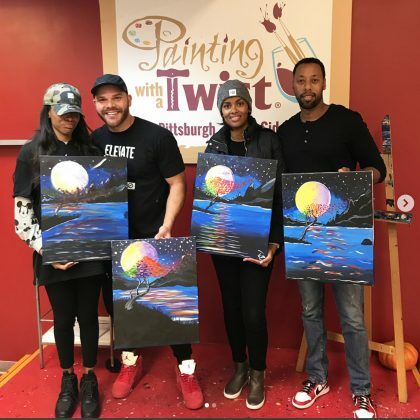 Serena Williams and Alexis Ohanian hired Brooklyn, New York City, NY, USA’s Tinsel & Twine event planning company to help organize some “amazing decor” for their special “selexis day” in May 2018. 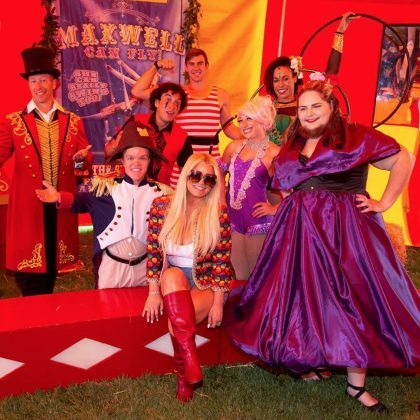 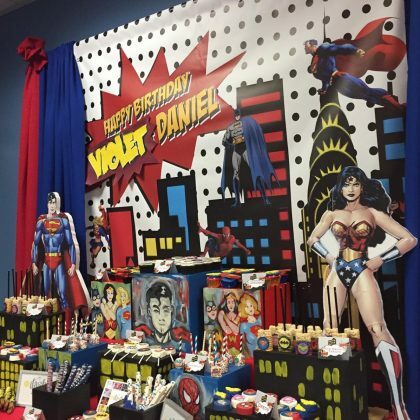 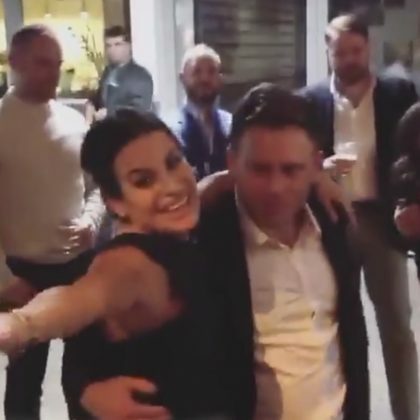 Jessica Simpson gave a shoutout to Los Angeles, CA, USA entertainment company The Dancing Fire for being a part of daughter Maxwell Drew Johnson’s The Greatest Showman-themed birthday party in May 2018. 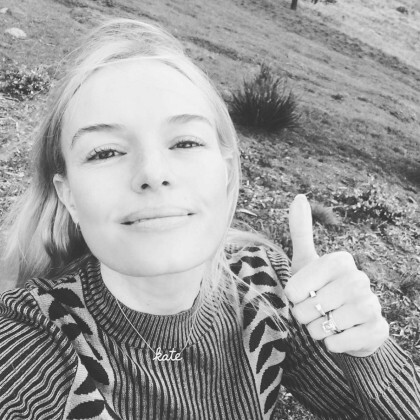 Elle Fanning ordered a bevy of balloons from Santa Monica, CA, USA’s Balloon Celebrations fo her 20th birthday in April 2018. 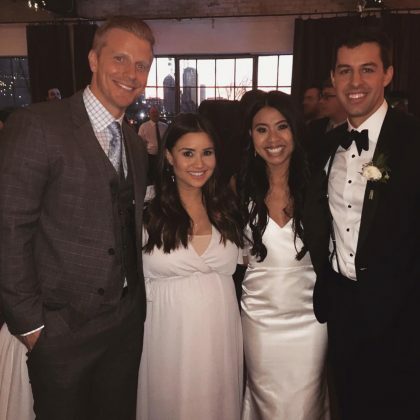 Catherine Giudici and Sean Lowe attended a wedding reception in March 2018 at Dallas, TX, USA’s Hickory Street Annex. 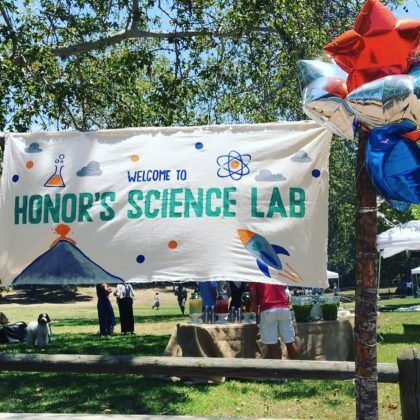 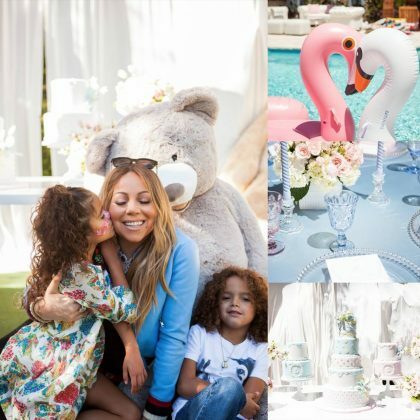 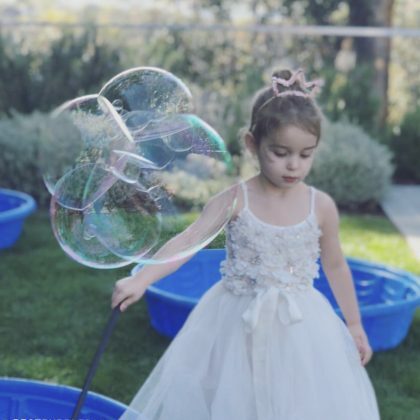 Molly Sims used Van Nuys, CA, USA’s Best Bubble Parties for her daughter’s birthday party in March 2018. 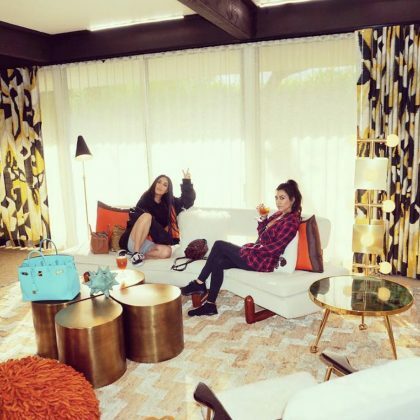 Billie Lourd posted a throwback photo in March 2018 of the time she and a friend stayed in the Fantasy Tower at the Palms Casino Resort in Las Vegas, NV, USA. 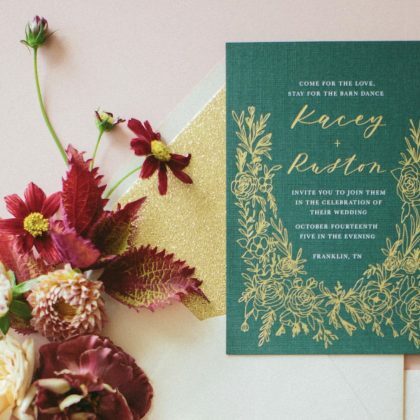 Kacey Musgraves gave Dallas, TX, USA’s Alli K Design a shoutout in March 2018 when she shared her own wedding invitations. 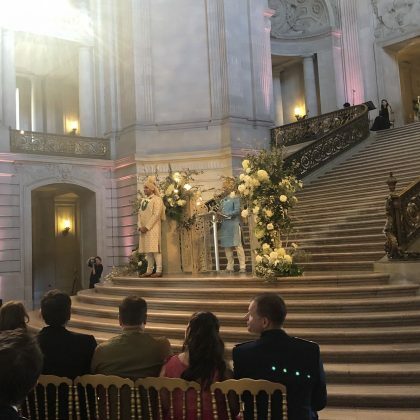 Holly Robinson Peete and her son “attended one of the most beautiful weddings” at Villa Sevillano in January 2018. 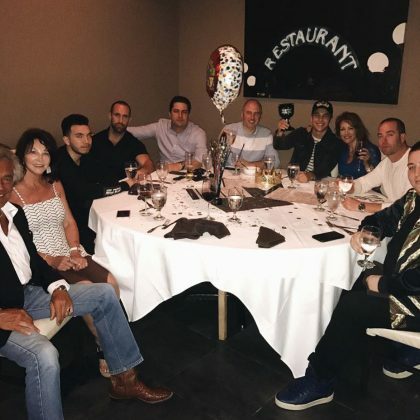 Mark Ruffalo marked his 50th birthday in November 2017 with the “perfect Birthday dinner” at The Heron Restaurant. 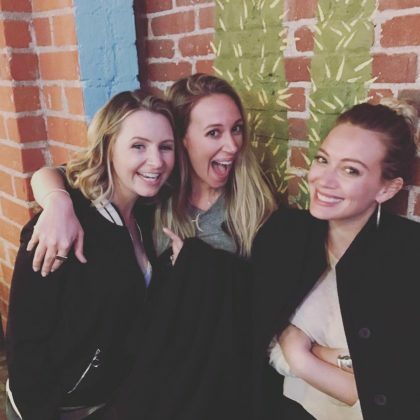 “Getting excited to race this guy” is what Becca Tobin said when she and her husband visited the Porsche Experience Center, Los Angeles in November 2017. 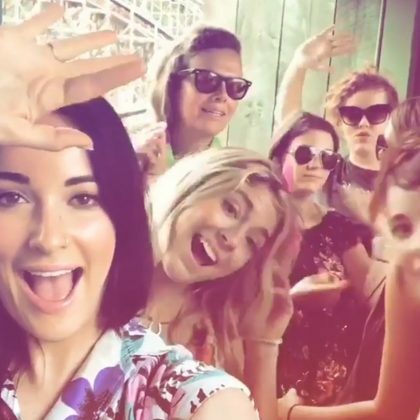 Ashley Graham said she was “So excited to celebrate my bday with my girls in Costa Rica” at Villa Manzu in October 2017. 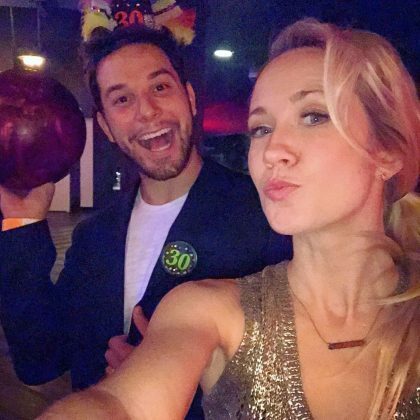 “Birthday Bowling w/ Bae” is what Skylar Astin said about celebrating his 30th birthday with Anna Camp at Bowlmor Chelsea Piers in September 2017. 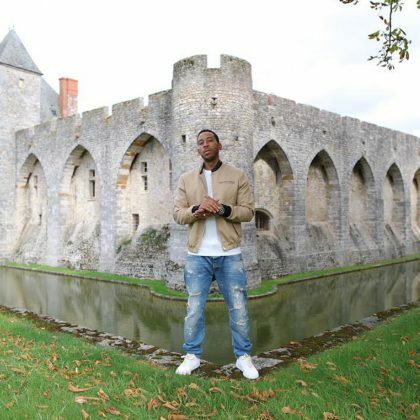 “This week will be Epic for many reasons” is how Ludacris predicted his 40th birthday celebration at Château de Farcheville would be in September 2017. 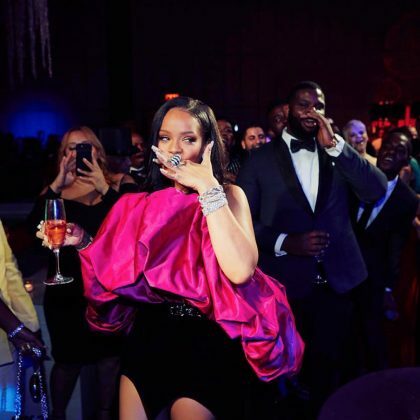 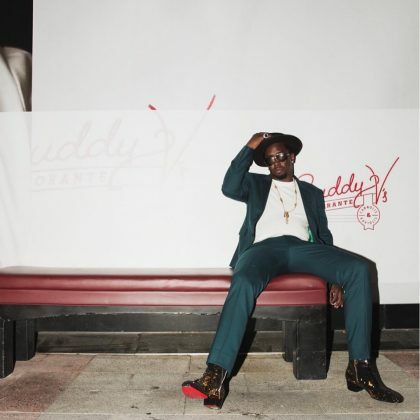 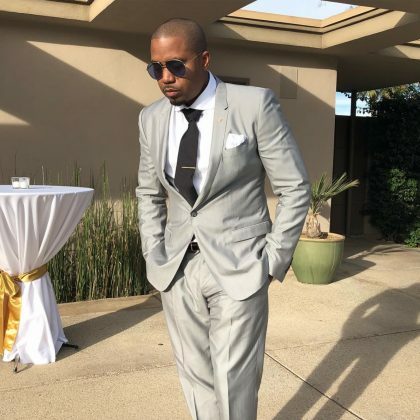 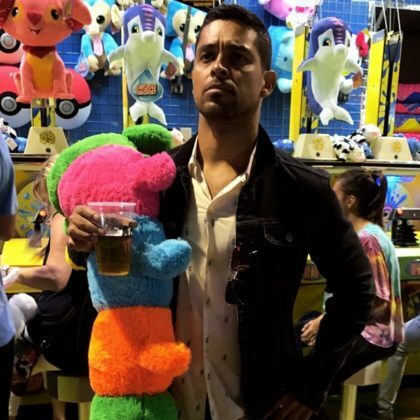 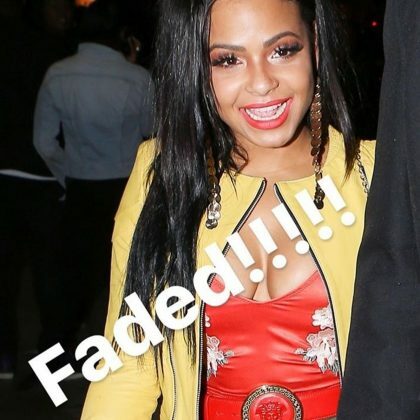 The week included a casino night, champagne tasting, several movie nights, cigars, strippers, and fireworks and was attended by several famous friends, including La La Anthony and Larenz Tate. 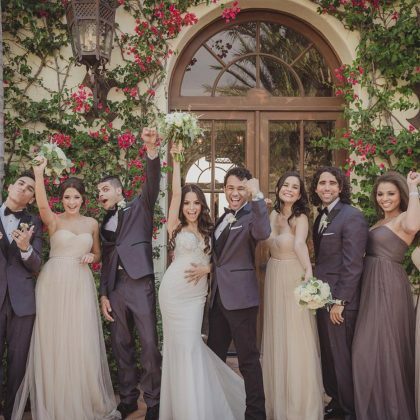 Catherine Giudici spent a “wonderful day” in September 2017 celebrating the marriage of friends at The Lodge Event Center At Country Inn Cottages. 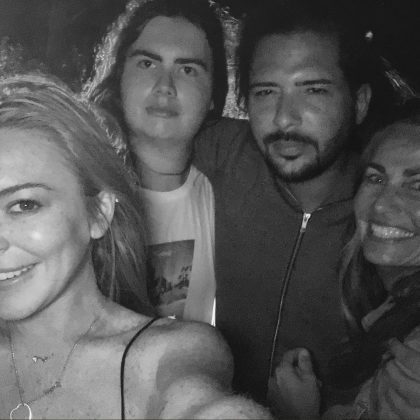 Rachel Zoe was “#inanystateofmind” while “Taking it all in” at The Glasshouses in August 2017. 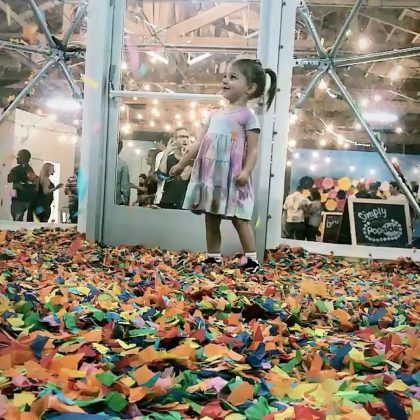 Ashlee Simpson had “so much fun” at daughter Jagger Ross’s 5th birthday party in July 2017 “painting vinyl CDs” thanks to event planner Party Layne. 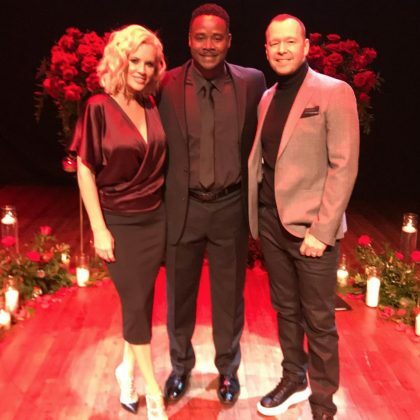 Jennifer Lopez held Alex Rodriguez’s hand while celebrating her 48th birthday here in July 2017. 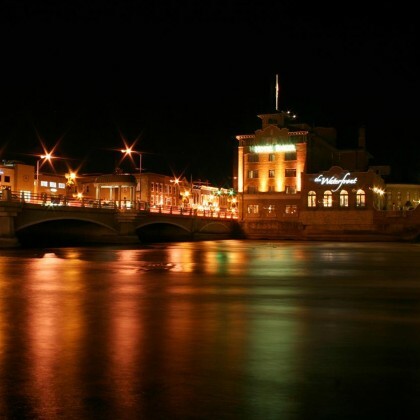 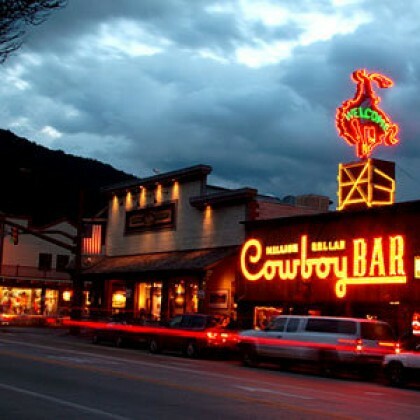 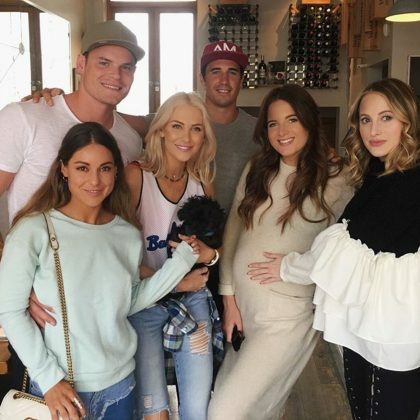 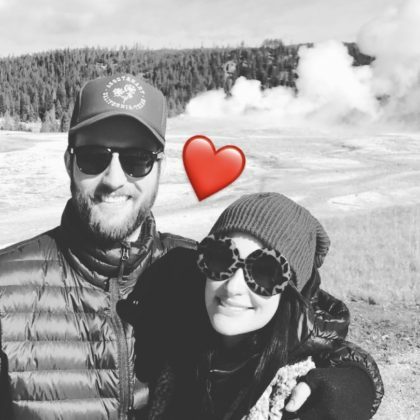 Kacey Musgraves had “the most MAGICAL time ever” when she celebrated her bachelorette party here with friends in July 2017. 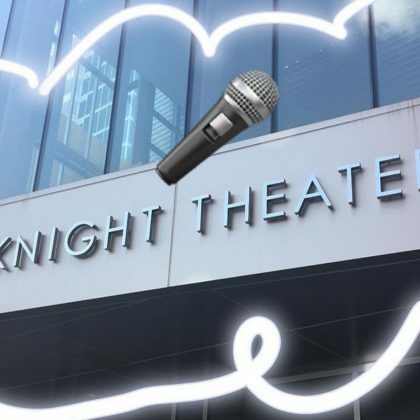 New Kids on the Block’s Jordan Knight snapped a shot of the Knight Theater in July 2017. 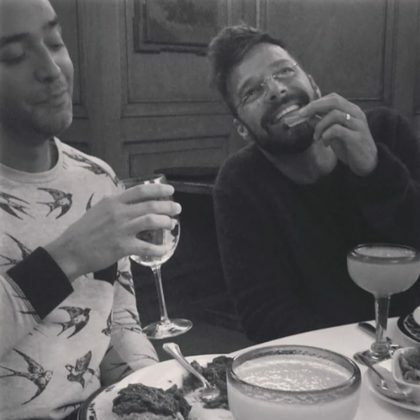 “Did somebody say mezcal? 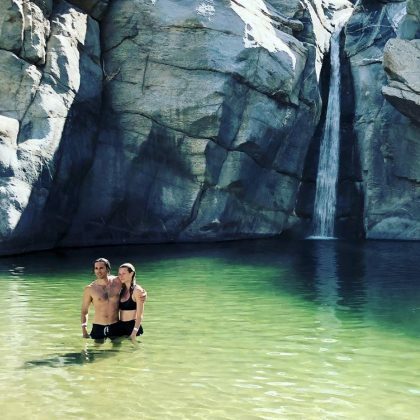 !” is what a swimsuit-wearing Sophia Bush asked while celebrating her 35th birthday in July 2017 at Hotel San Cristóbal. 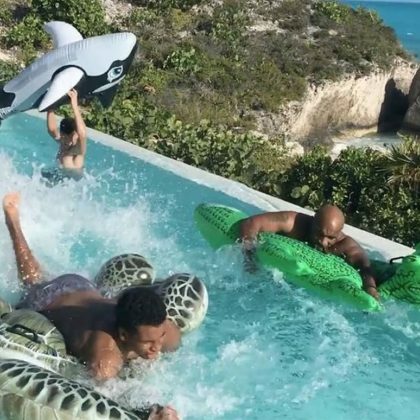 Backstreet Boys members Kevin Richardson and Howie Dorough brought their own boys along for a “Great family day at the pool” in June 2017. 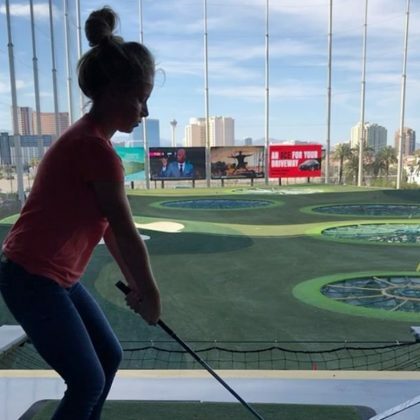 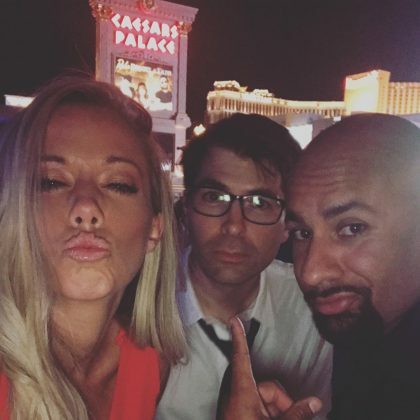 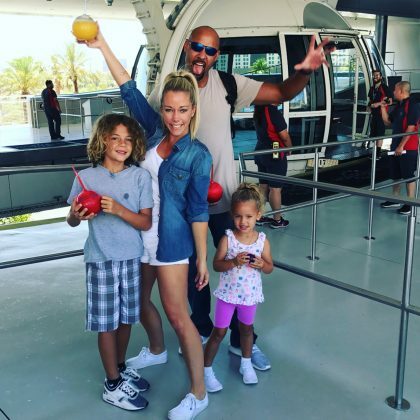 While celebrating Hank Baskett on Father’s Day in June 2017, Kendra Wilkinson-Baskett said it was “Such a fun day today with you and the kids in Vegas” — they did family breakfast and rode the High Roller. 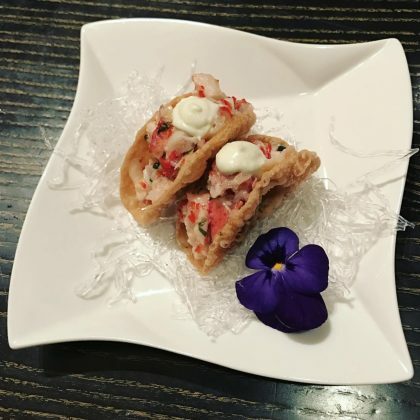 Ciara showed off her floral-topped food from this restaurant in June 2017. 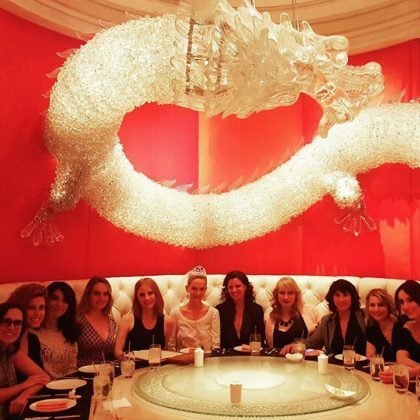 “Thank you to 15 wonderful ladies for joining me for a birthday lunch at Mark’s Club. 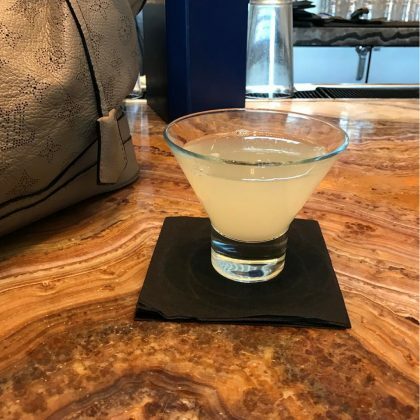 I’d be lost without you” is what Elizabeth Hurley said about celebrating her 52nd birthday here in June 2017. 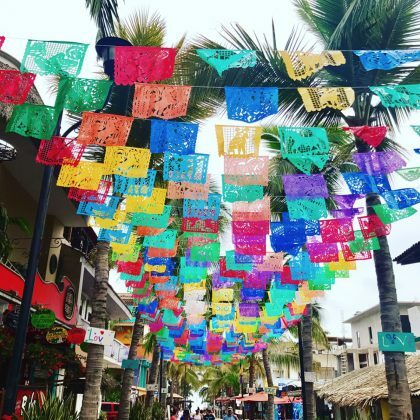 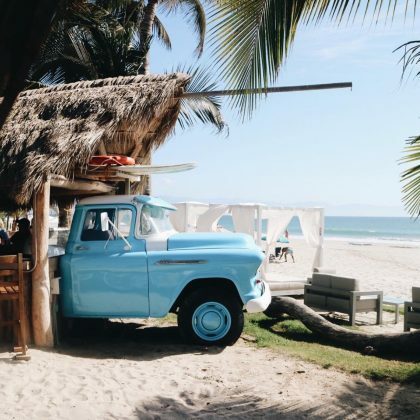 Candice Accola was “Lost & Found in Sayulita” in June 2017. 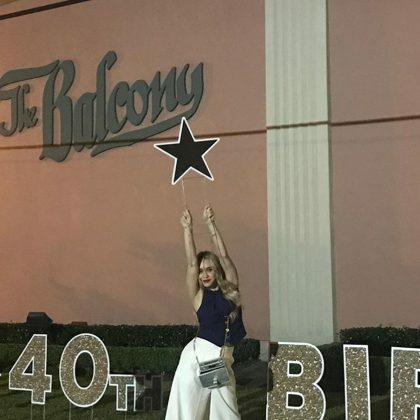 Becca Tobin﻿ attended a friend’s 40th birthday at The Balcony Ballroom in June 2017. 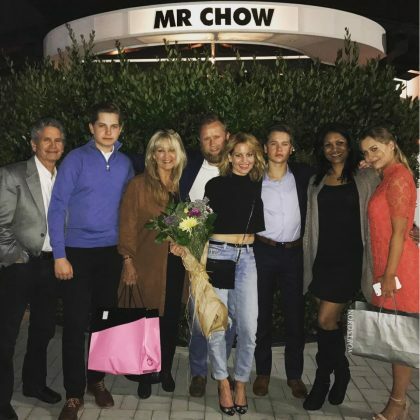 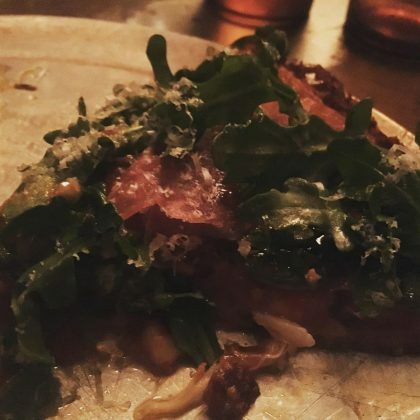 “Love and laughter and a delicious meal is the best way to end the day” is what Ashley Greene said post-group dinner here in June 2017. 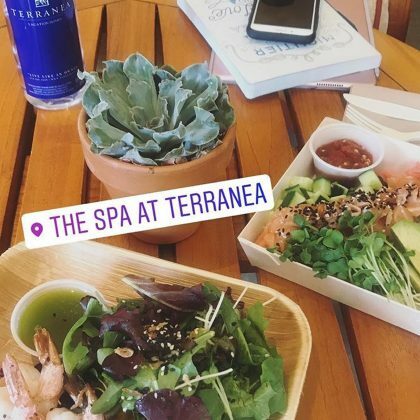 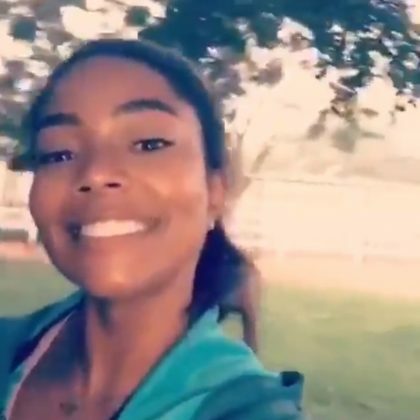 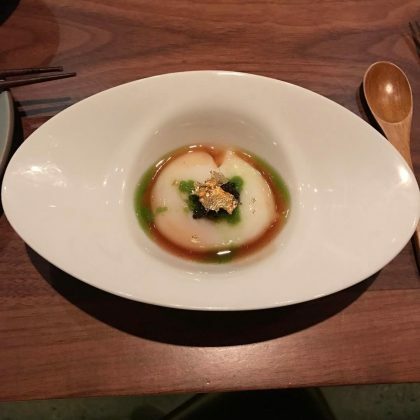 Monique Coleman﻿ ate some seafood and salad while at The Spa at Terranea in May 2017. 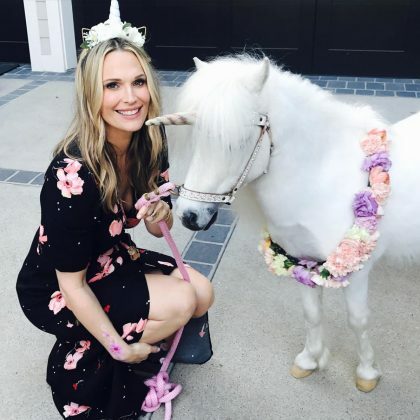 Molly Sims celebrated her 44th birthday — aka “#mollypalooza” — with a fun trip to this resort with friends in May 2017. 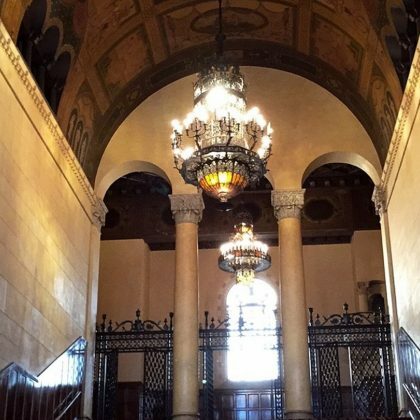 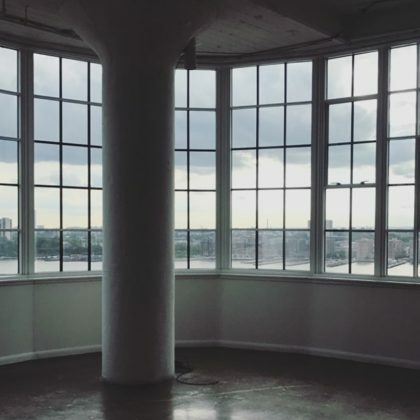 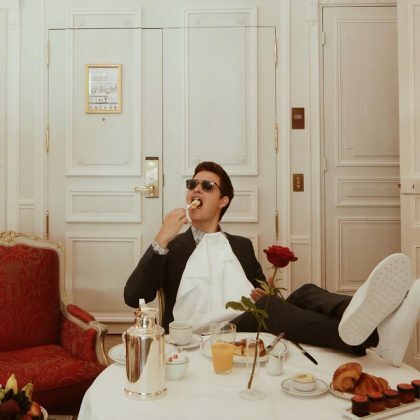 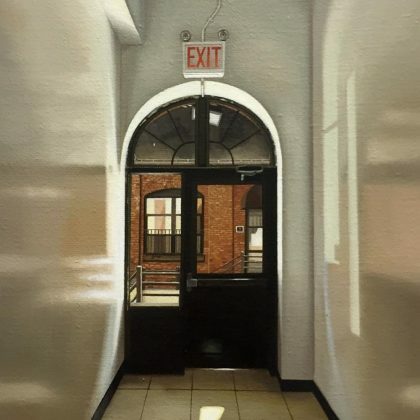 Kevin McHale﻿ came to Canoe Studios in May 2017 and said, “OMFG LOVE ON TOP,” because this is where ﻿Beyoncé﻿ filmed her “Love On Top” music video. 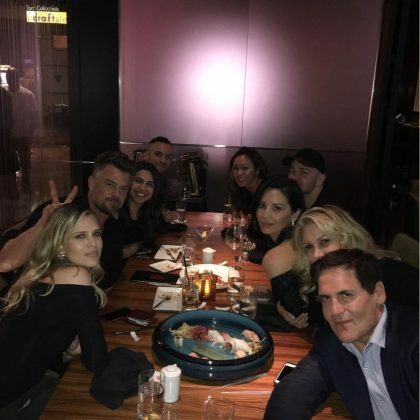 “After the awards is the after sushi” is what Olivia Munn said when she ate here with Josh Duhamel, Mark Cuban, and fries after attending the Billboard Music Awards in May 2017. 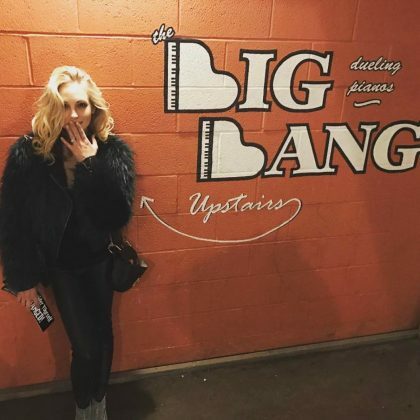 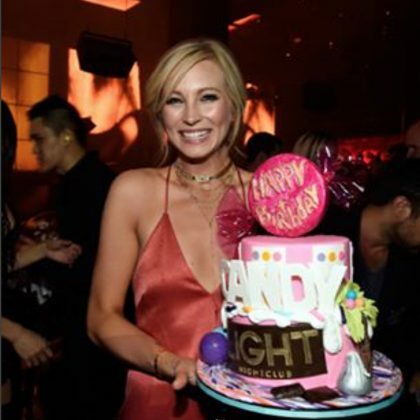 Candice Accola﻿ spent the “Most epic night ever” celebrating her 30th birthday at this club over “the most unforgettable Birthday weekend” in May 2017. 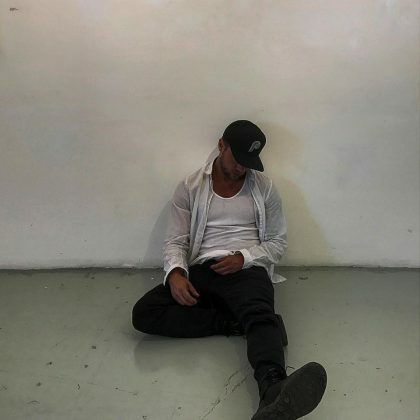 Ryan Phillippe sat on the floor at SmogShoppe under a sign that read “INFLUENCER” in May 2017. 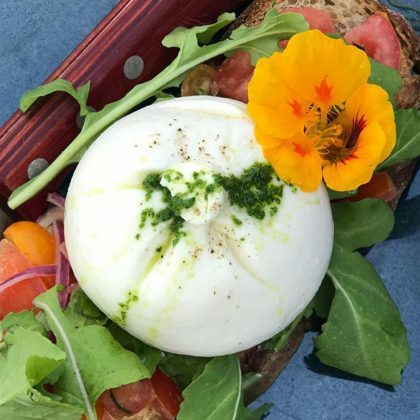 Kate Bosworth came to Barker Hangar in May 2017 for EEEEEATSCON with her mom and Michael Polish and tried a variety of food. 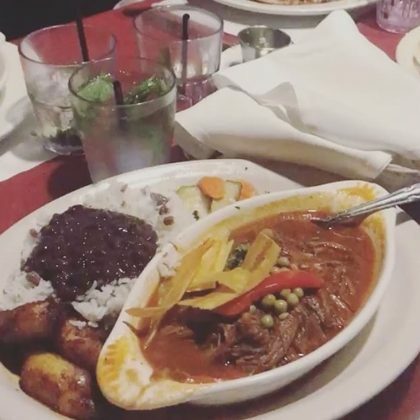 Monique Coleman﻿ had a meal here in May 2017. 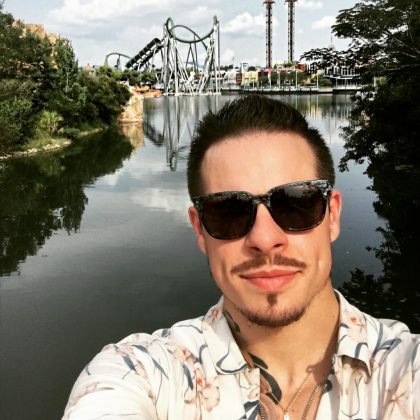 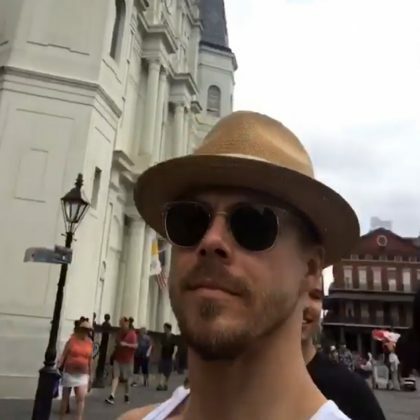 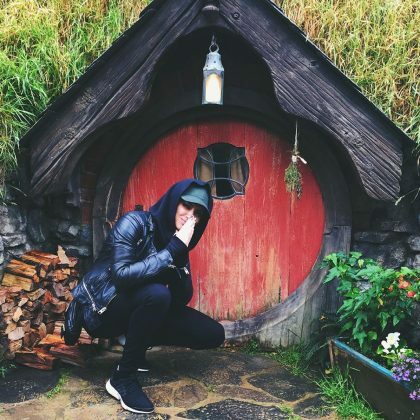 Derek Hough﻿ snapped a selfie in front of this famous church in May 2017. 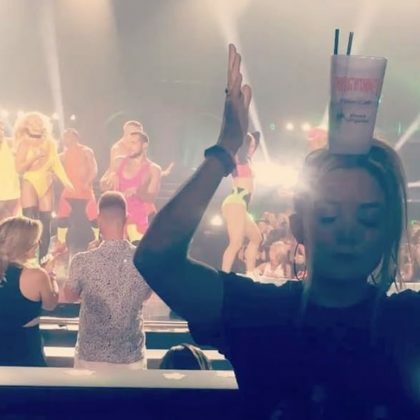 “#itslitneybitch” is what Billie Lourd said when she and Taylor Lautner saw Piece of Me in May 2017. 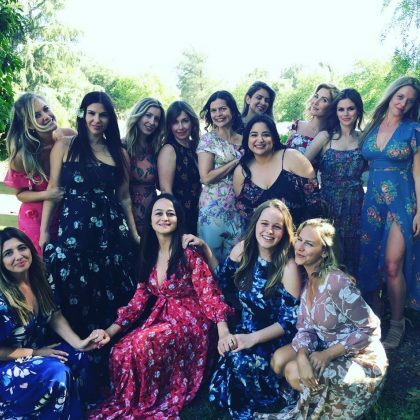 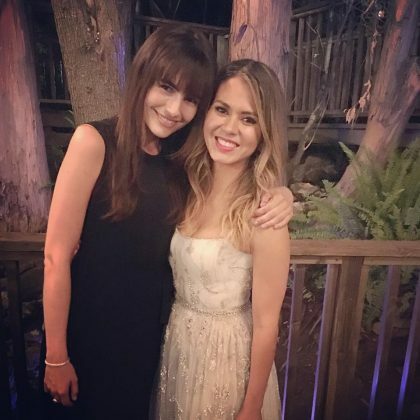 Rachel Bilson﻿ was a part of the “#bridesmaidsquad” for a May 2017 wedding at Mattei’s Tavern. 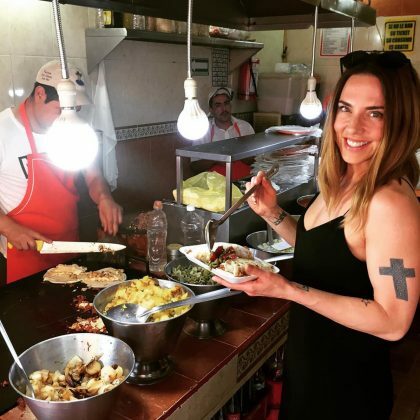 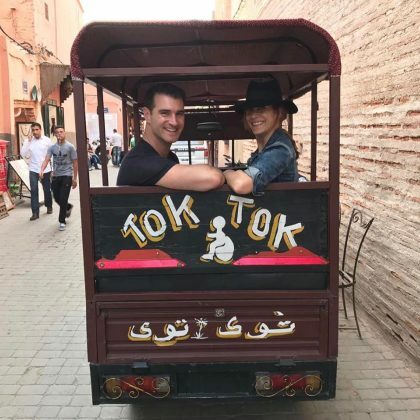 “After a little #souq #souq we took a little #tok #tok” is how Kate Walsh described here “#marrakech #morocco” itinerary in May 2017. 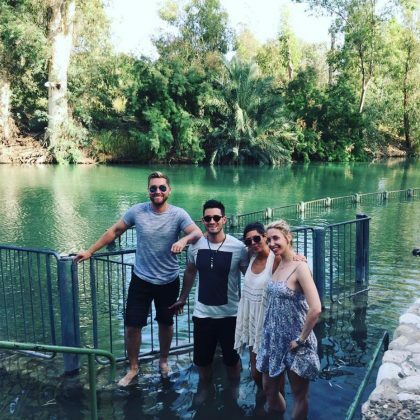 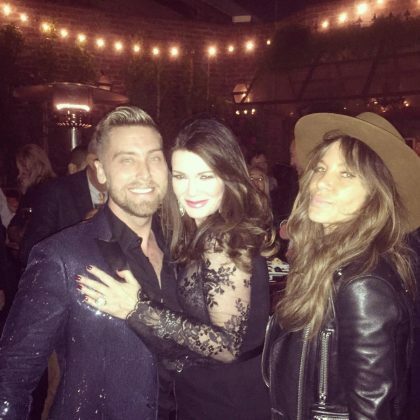 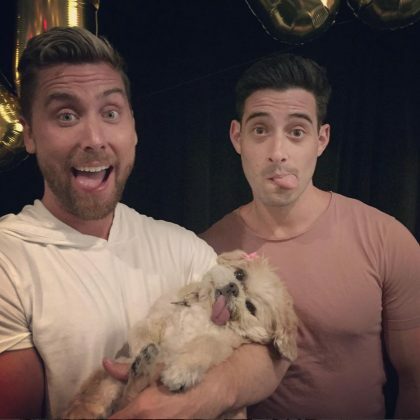 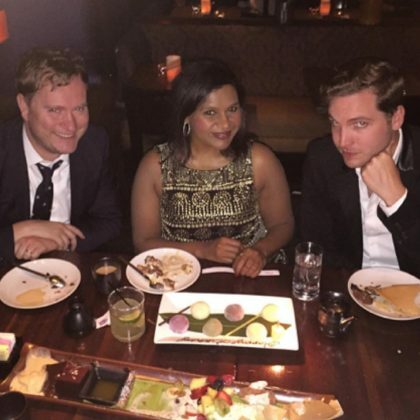 Lance Bass traveled here in May 2017 with Jamie Lynn Sigler and Michael Turchin and explained, “The River Jordan is where historians agree Jesus Christ was baptized by John the Baptist. 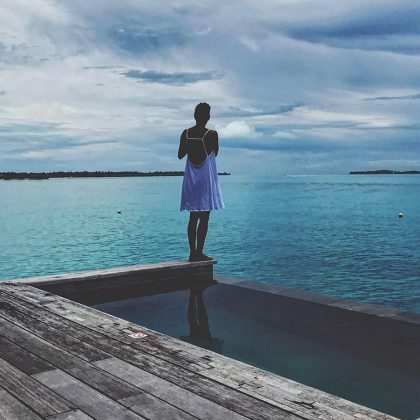 Thousands come from all over to get dunked in these waters.” During their visit, they got to witness a baptism. 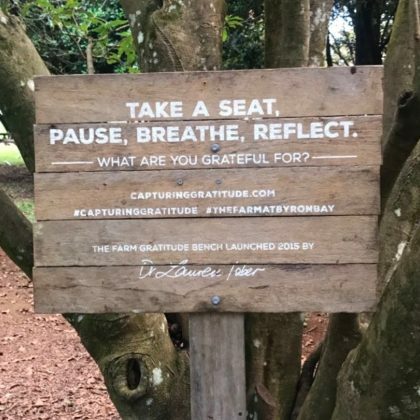 Elsa Pataky photographed the “TAKE A SEAT, PAUSE, BREATHE, REFLECT” sign when she was here in May 2017. 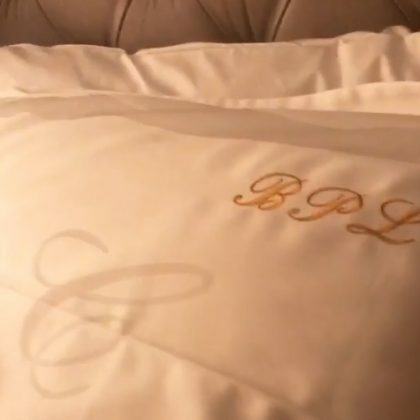 Behati Prinsloo﻿ showed off her monogrammed pillowcase when she stayed at the “#carlyle” in April 2017. 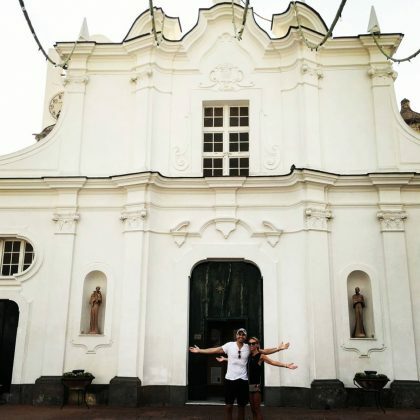 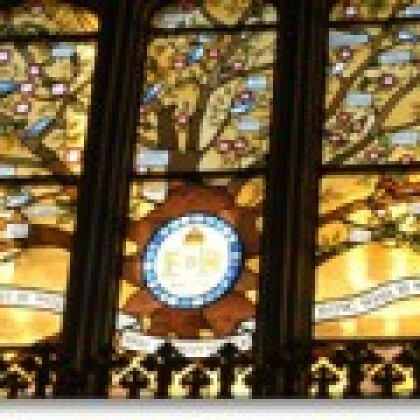 On her 21st wedding anniversary in May 2017, Kelly Ripa shared shots of her wedding to Mark Consuelos that took place at Chapel of The Bells. 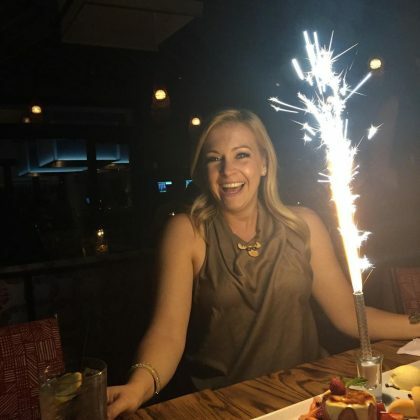 “And the birthday week continues… Thanks @rokusunset for making me feel special” is what Melissa Joan Hart said while celebrating her 41st birthday here in April 2017. 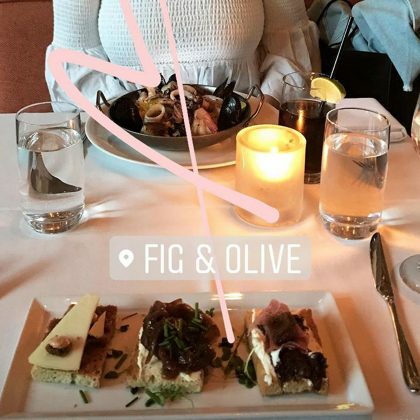 Eliza Dushku﻿ said she was “#eatingmywaythroughnyc” in April 2017 while enjoying O Ya’s “#fabergeegg” ($39). 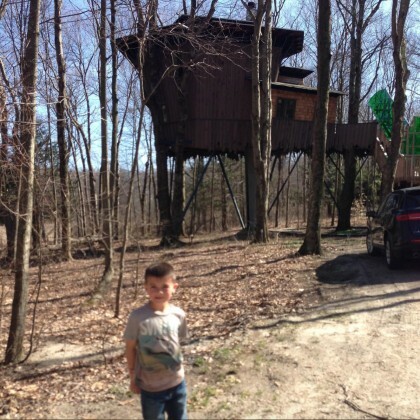 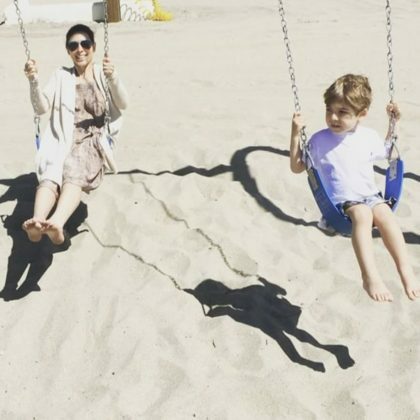 Jamie Lynn Sigler﻿ and her son played on the swings while checked in to the Bel-Air Bay Club in April 2017. 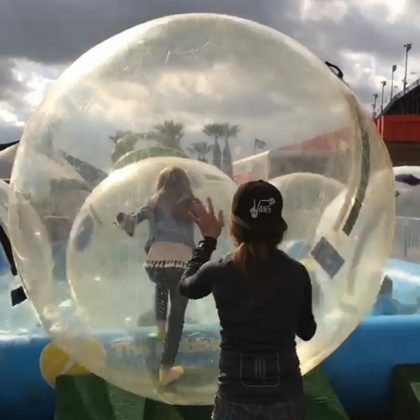 Jamie Lynn Spears﻿ watched on as daughter ﻿Maddie Aldridge﻿ played around in a giant bubble provided by The Bubble Rollers in March 2017. 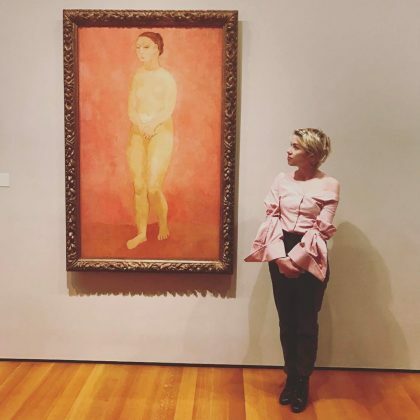 Carly Rae Jepsen enjoyed “A day at the MoMA” in March 2017. 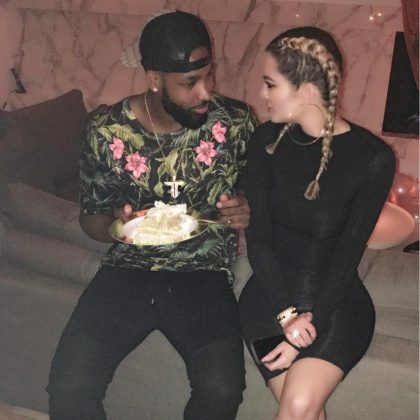 Khloe Kardashian﻿ thanked A Pink Gorilla “for the balloons” that she arranged for ﻿Tristan Thompsan﻿’s 26th birthday in March 2017. 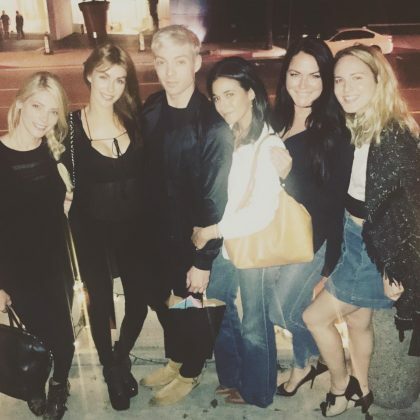 Jessica Lowndes enjoyed a “Sunday funday with my #mcm” at this hotel in March 2017. 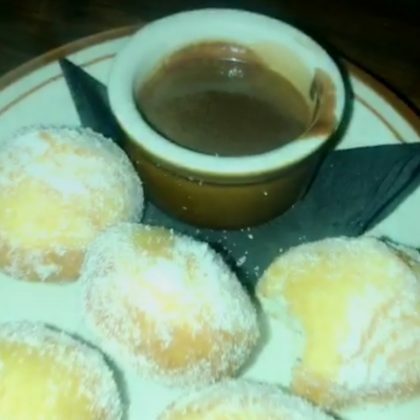 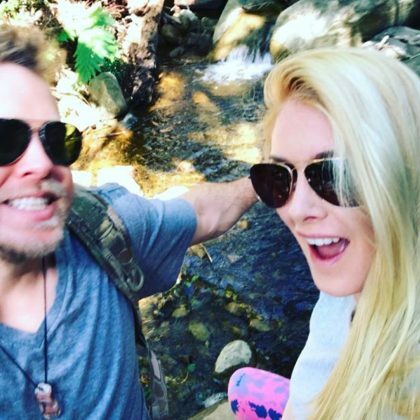 Heidi Pratt﻿ and ﻿Spencer Pratt﻿ went on a bike in the area and rewarded themselves with macaroni and cheese and chocolate soufflé at San Ysidro Ranch in March 2017. 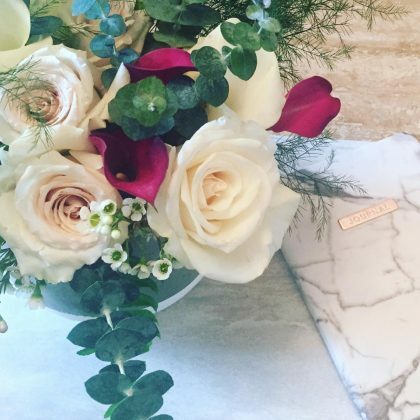 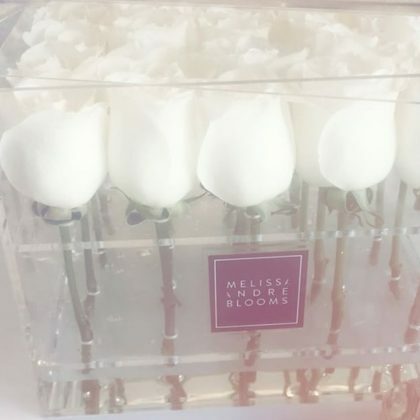 “The dopest” is how Jessica Alba described the box of white Melissa Andre Events roses she received in March 2017. 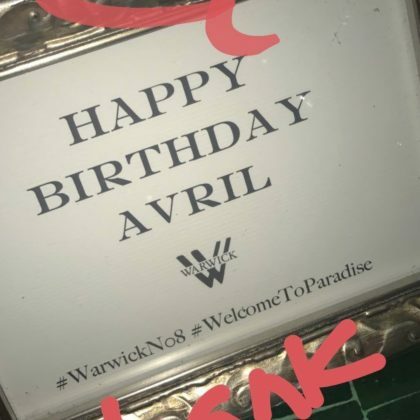 Paris Hilton partied with her “#BeachersMadhouseCrew” here in February 2017. 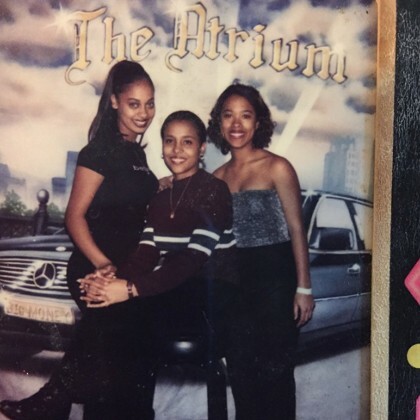 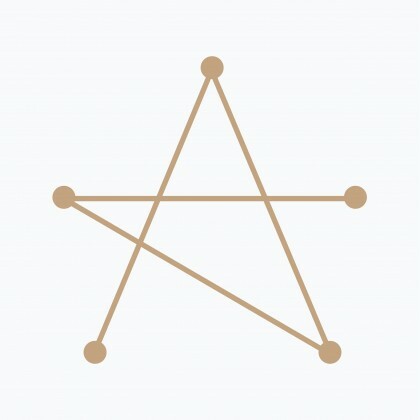 Toni Braxton﻿ visited the séance room upstairs at Muriel’s in February 2017. 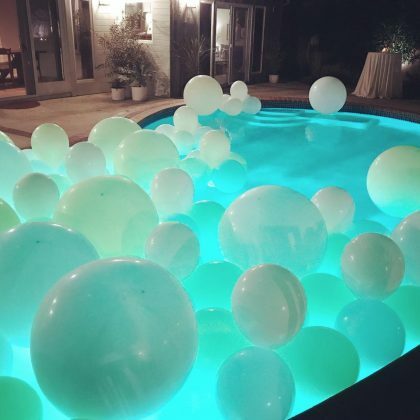 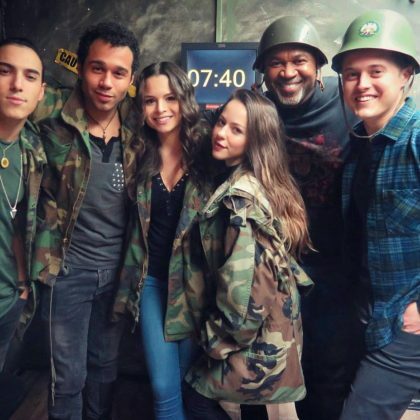 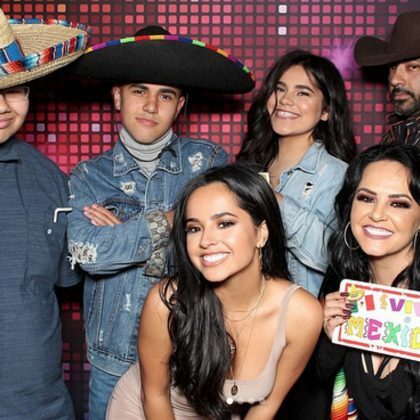 Ariel Winter shared several shots in February 2017 from her 19th birthday party held here that was attended by many friends, including Nolan Gould. 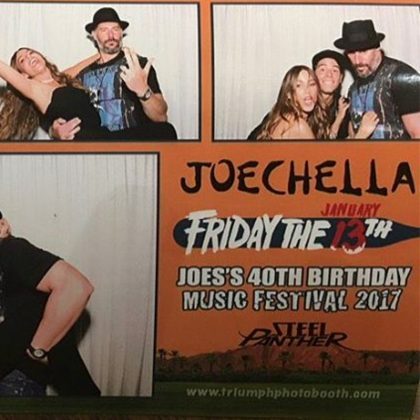 Joe Manganiello﻿ shared a series of photos he took with ﻿Sofia Vergara﻿ and thanked Triumph Photo Booth for “documenting #JOECHELLA” — his 40th birthday party — in January 2017. 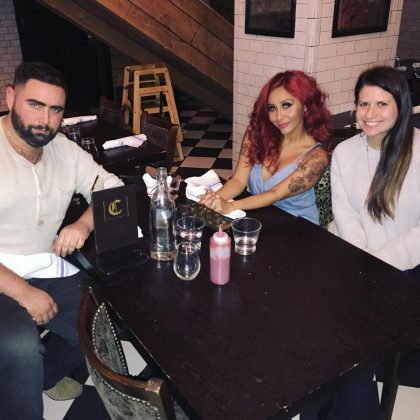 “Thank you for the delicious lunch today @thechester_” is what Nicole “Snooki” Polizzi said about her meal here with friends in January 2017. 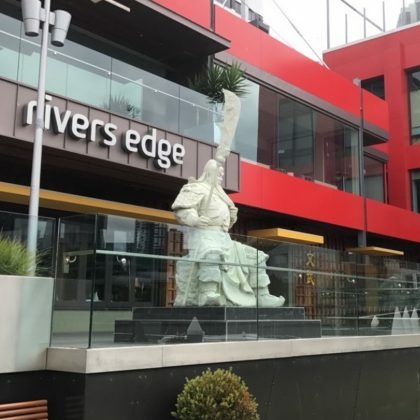 Ashanti﻿ went for a walk nearby River’s Edge Events Melbourne in January 2017. 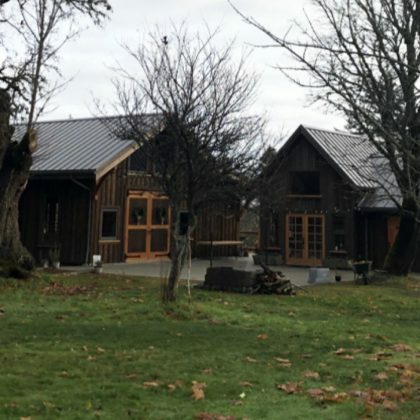 ﻿﻿Lily Aldridge﻿ said she and ﻿Martha Hunt﻿ “Started the New Year off right” with a fun party and some “Country Livin” here in January 2017. 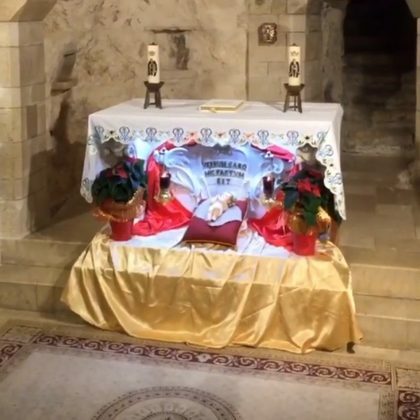 Daniel Dae Kim﻿ visited “The Church where the Angel Gabriel came to Mary to announce the coming of Jesus” in December 2016. 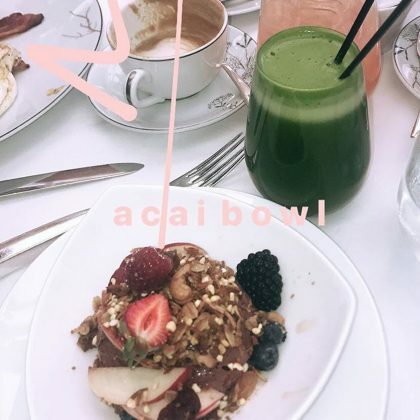 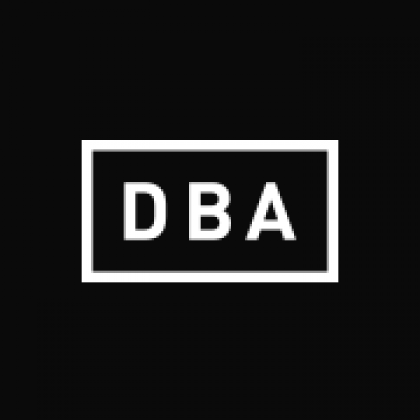 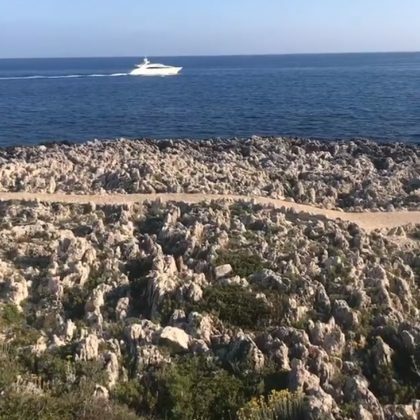 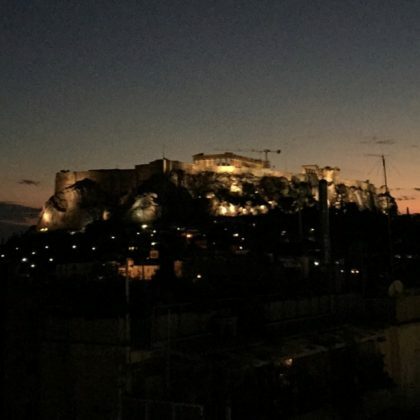 Jessica Alba﻿ had an “Awesome night with the French homies” here in December 2016. 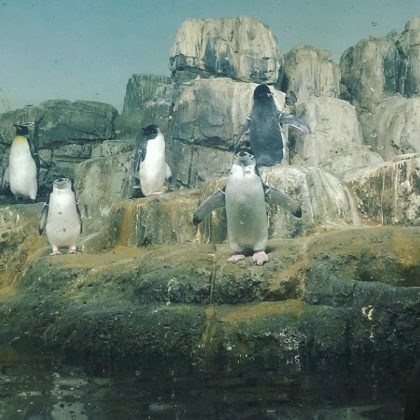 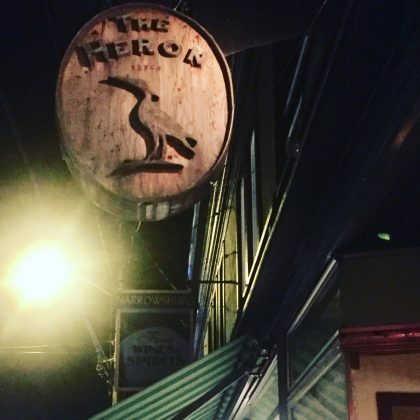 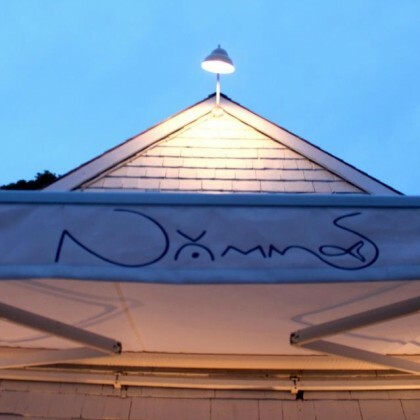 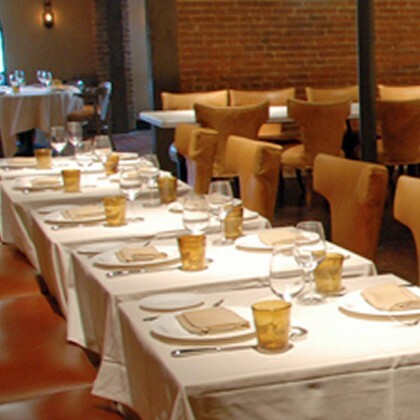 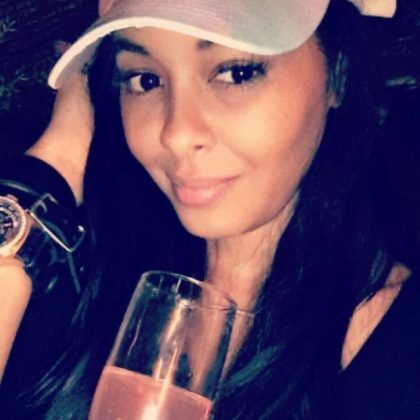 Vanessa Simmons﻿ grabbed what looked like a champagne cocktail, a Pumpopolotan ($14), and a shot to “Turn up” during “Girl Time” here in December 2016. 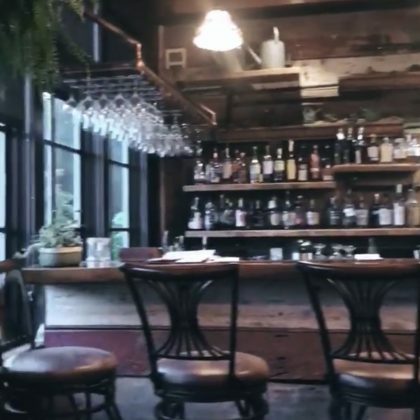 Alexa Chung﻿ hung with a friend at this restaurant in December 2016. 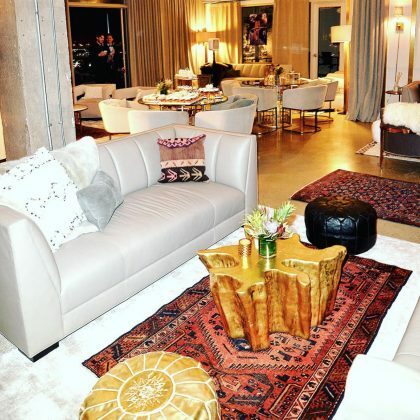 Audrina Patridge ﻿thanked ﻿﻿Witty Rentals “for transforming” the Hills Penthouse “into our warm and dreamy Moroccan wonderland” in December 2016. 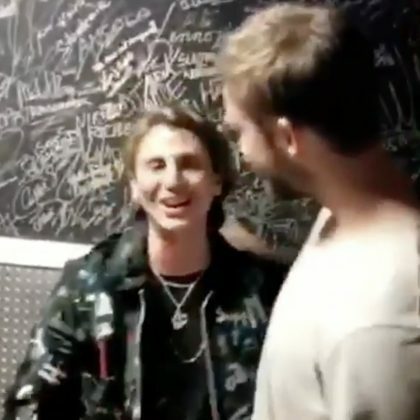 Jonathan Cheban﻿ met ﻿Calvin Harris﻿ when they were both here in December 2016. 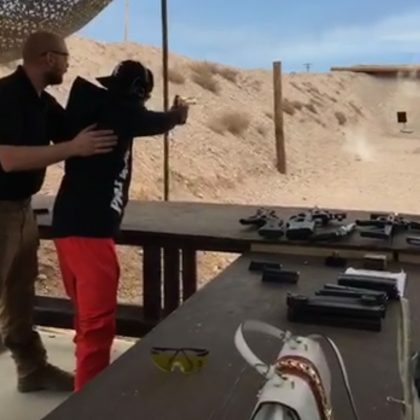 Kylie Jenner watched as Tyga﻿ tried his hand at the Bullets and Burgers shooting range to celebrate his 27th birthday in November 2016. 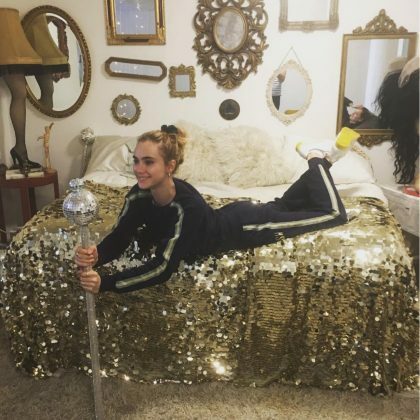 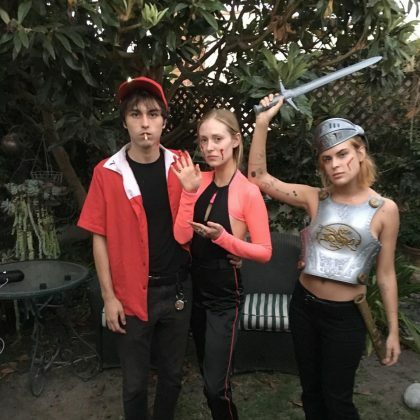 Suki Waterhouse﻿ came to The Disco Den for “Sequin Sundays” in October 2016. 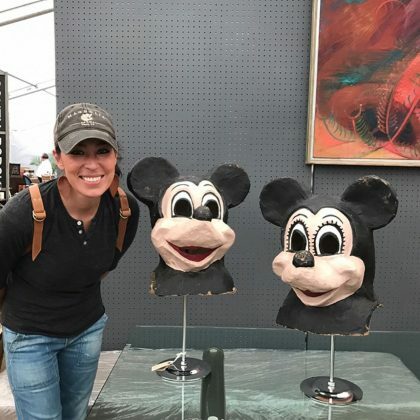 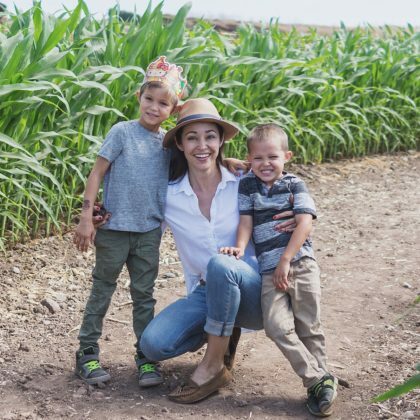 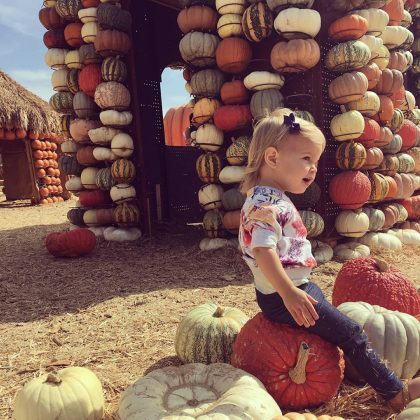 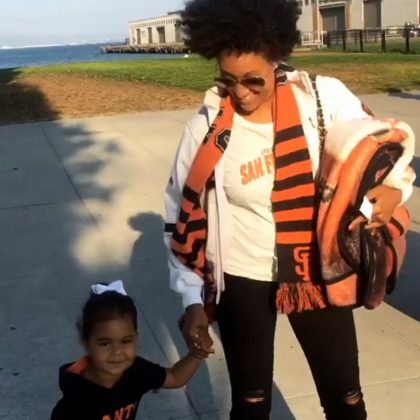 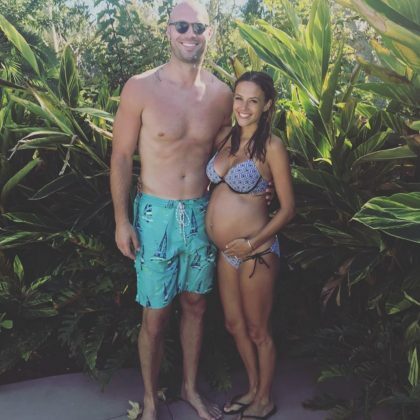 “I found the perfect ‘lil pumpkin at the patch today” is what Vanessa Lachey said about her daughter sitting on a pumpkin here in October 2016. 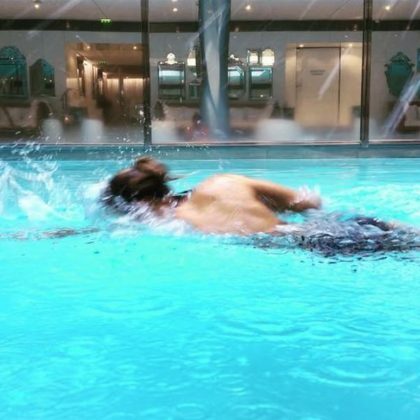 Karlie Kloss﻿ channeled her inner fish and swam some laps inside the Le Royal Monceau Raffles Paris pool in October 2016. 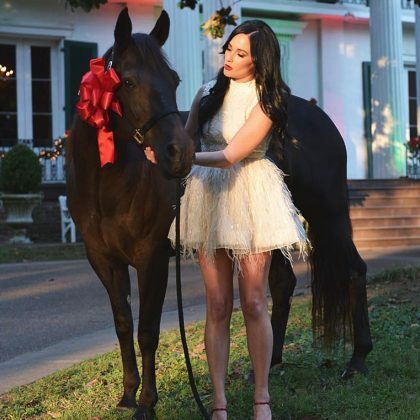 Kacey Musgraves “Had a very festive end-of-summer listening party” for her “at the magnificent” Riverwood in September 2016. 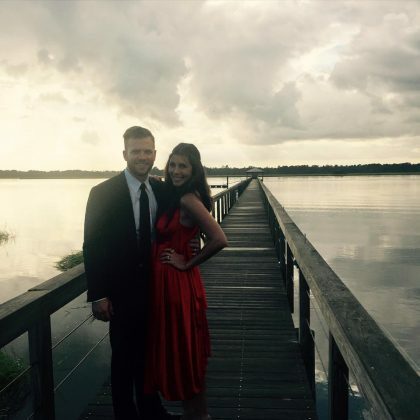 Jamie Lynn Sigler﻿ witnessed “A little rainstorm before a gorgeous plantation wedding” at Lowndes Grove in September 2016. 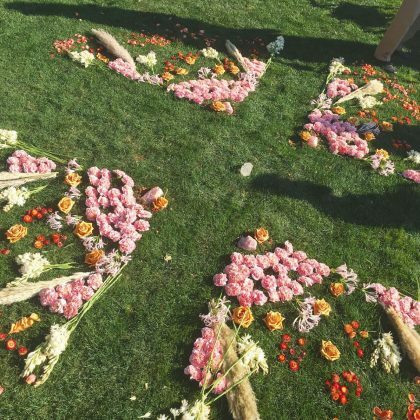 Whitney Port﻿ attended a wedding at Triunfo Creek Vineyards in August 2016 and complimented the “flower dial” decor on the ground. 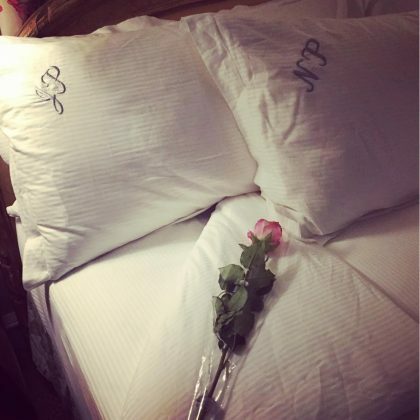 Dita Von Teese﻿ was on a “Top secret glamour mission at the Park Plaza Hotel” in August 2016. 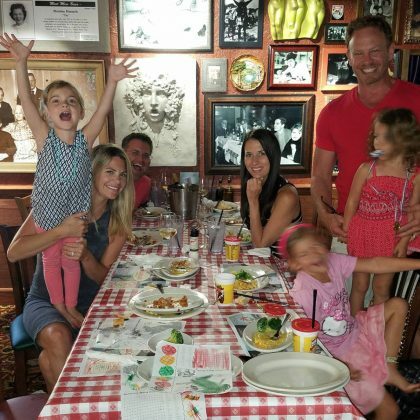 Ian Ziering﻿ enjoyed an “Awesome family dinner with the kids at Buca Di Beppo at the Grove” in August 2016. 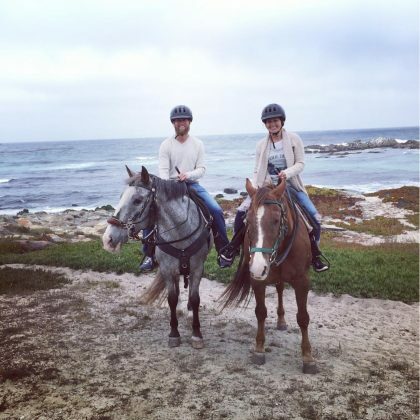 Tallulah Willis﻿ and friends went to Franny’s Farm in August 2016. 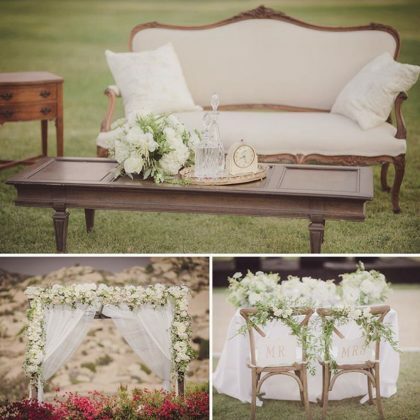 Corbin Bleu﻿’s July 2016 wedding decor included beautiful pieces from Pretty Vintage Rentals. 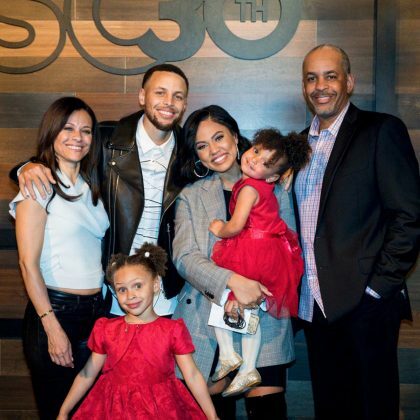 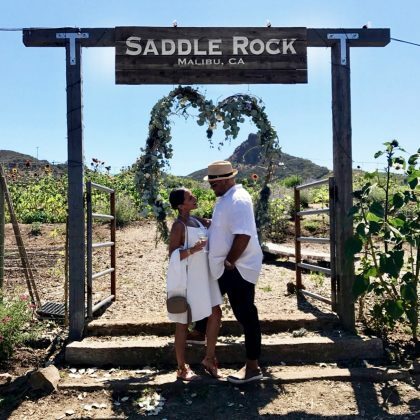 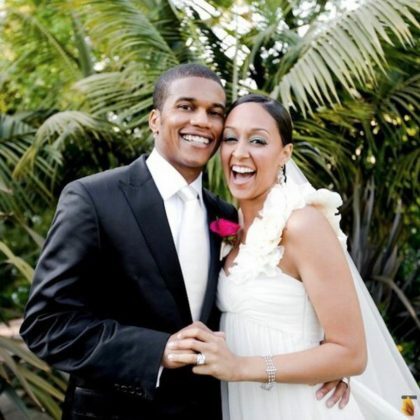 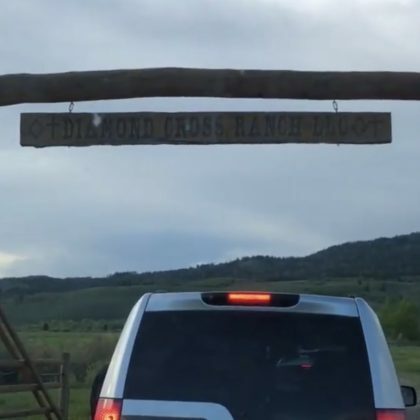 Corbin Bleu’s July 2016 wedding — attended by his High School Musical prom date, Monique Coleman — took place at Hummingbird Nest Ranch. 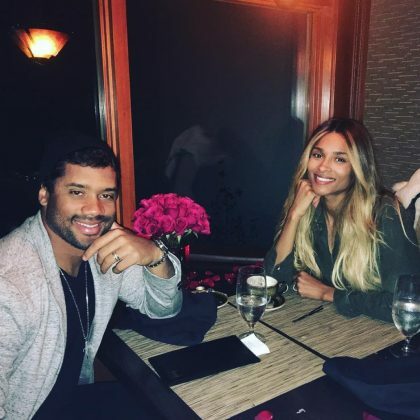 Ciara and Russell Wilson got married at Peckforton Castle in July 2016 — La La Anthony and Kelly Rowland were just some of the famous guests. 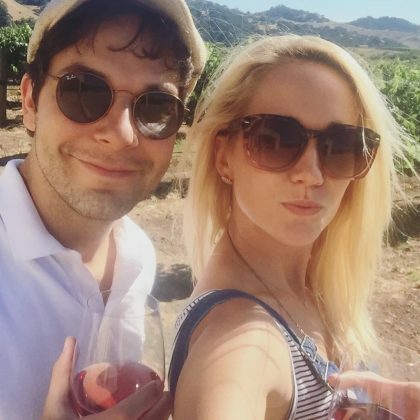 Anna Camp came to Sunstone Vineyards & Winery with Skylar Astin in July 2017 and described it as “Heaven in the sun with my sweet love where we tied the knot.” She added, “wine ain’t so bad either” — the Pitch Perfect costars got married here in September 2016. 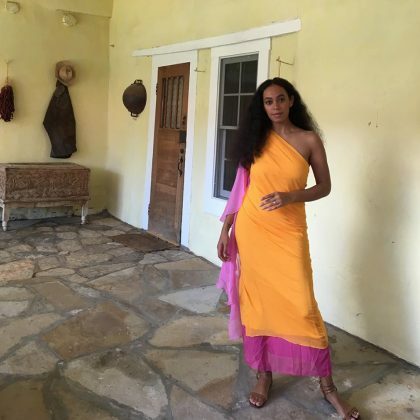 Solange Knowles﻿ said, “Dreams made true,” when she celebrated her 30th birthday with family and friends — including ﻿Beyoncé﻿ and ﻿Jay Z﻿ — in San Patricio in June 2016. 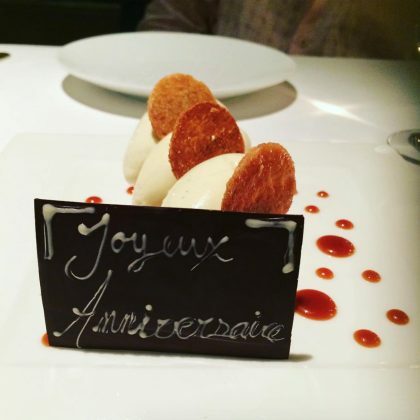 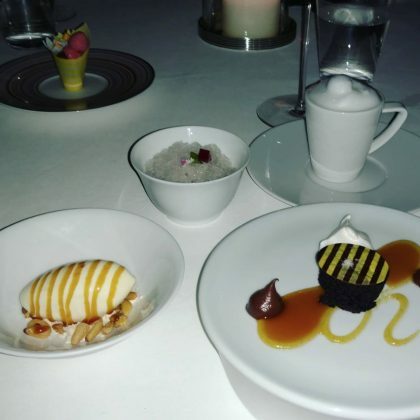 Emmy Rossum﻿ and her fiancé indulged in a couple desserts at Per Se while celebrating “a magical anniversary” in June 2016. 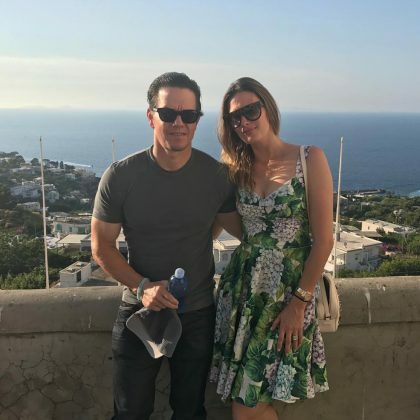 AnnaLynne McCord﻿ shared some scenic shots from her trip to Saint-Jean-Cap-Ferrat in June 2017. 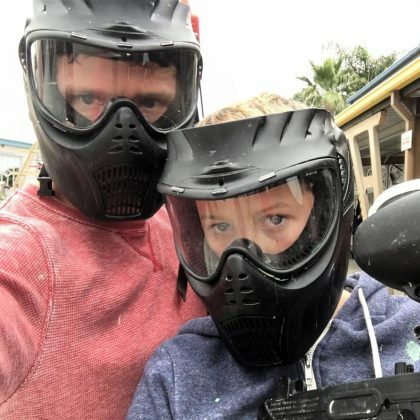 A tough looking, helmet-wearing ﻿Ryan Phillippe﻿ said, “don’t talk to me or my son ever again,” after the father-son duo did some paint balling at Hollywood Sports in May 2016. 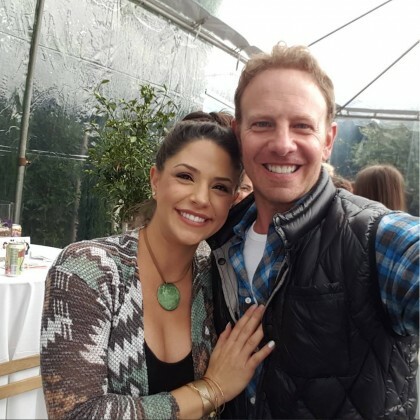 Ian Ziering ﻿was checked in here in April 2016. 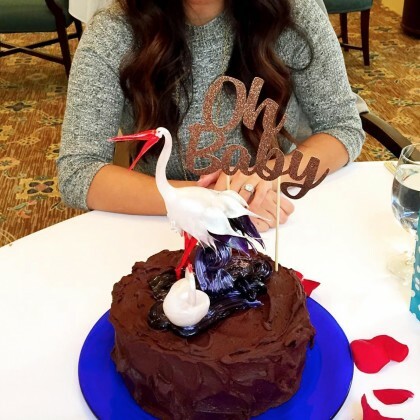 ﻿Catherine Giudici﻿ celebrated her baby shower at the Fairmont Olympic Hotel, Seattle in April 2016 and said, “I Dream of Cakie” after sharing a photo of her stork-topped dessert. 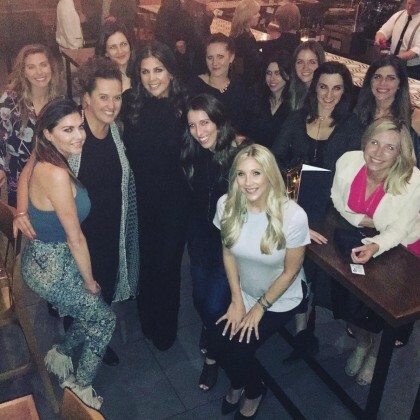 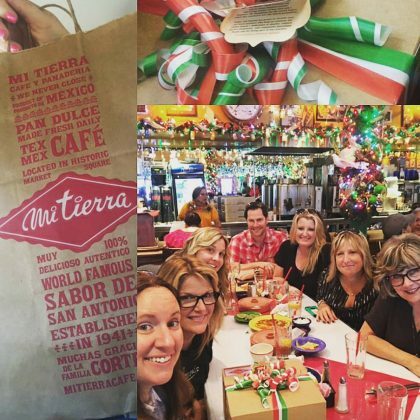 Hillary Scott﻿ thanked her friends for “an amazing bday celebration” and Moto “for an AMAZING dinner” in April 2016 to mark her 30th birthday. 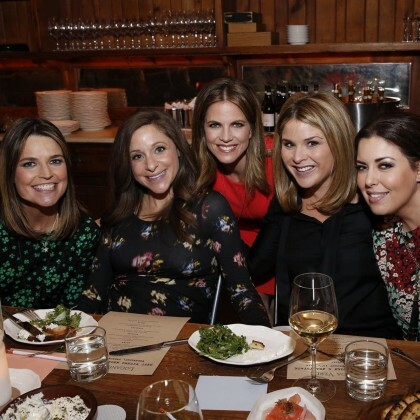 Candace Cameron Bure﻿ was given a surprise 40th birthday party at Meadowood Napa Valley in April 2016. 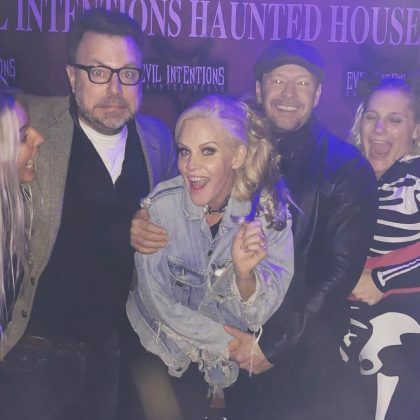 Tori Spelling﻿ shared in February 2016 that the “iconic Hollywood Club in the 90’s” — Bar One Tap Room — is where she celebrated her 18th birthday “with my friend and co-star and envy of millions of girls everywhere,” Luke Perry. 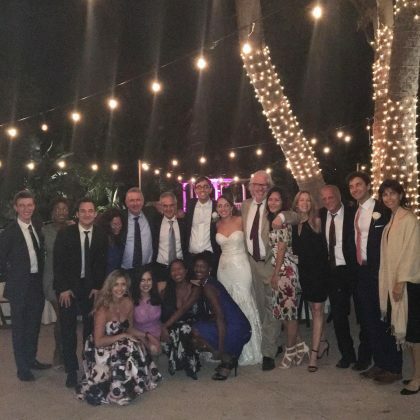 Viola Davis﻿ celebrated her wedding vow renewal in February 2016 at Hotel Casa del Mar. 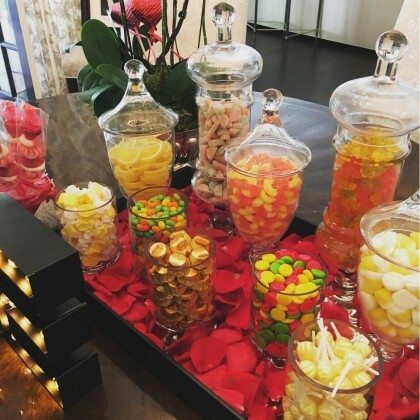 Sofia Vergara﻿ enjoyed the “Perfect Valentines treat” from Candybar Couture — multiple jars filled with colorful treats — in February 2016. 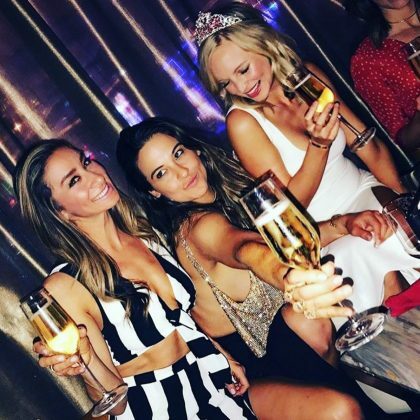 Eva Longoria had a “Fun night” at Casa Tua Hotel in November 2015 celebrating a friend’s bachelorette party. 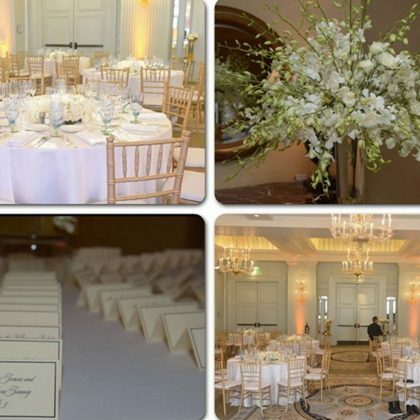 Sofia Vergara﻿ and ﻿Joe Manganiello﻿ held their wedding at The Breakers Resort in Palm Beach in November 2015. 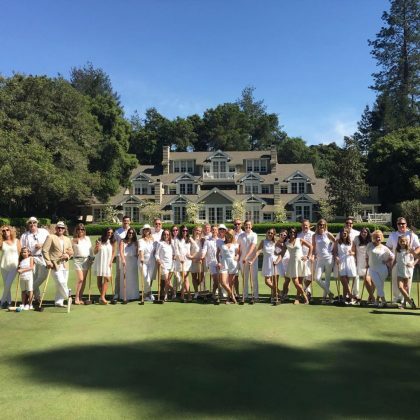 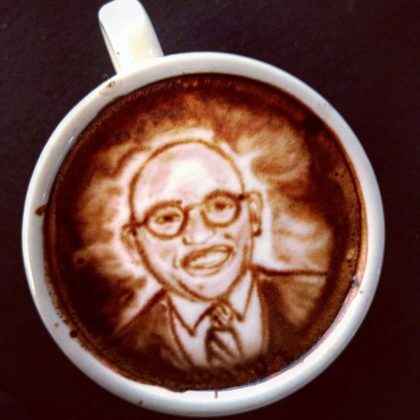 There were lots of famous guests, including ﻿Modern Family﻿ costars ﻿Eric Stonestreet﻿, ﻿Jesse Tyler Ferguson﻿, and ﻿Ty Burrell﻿. 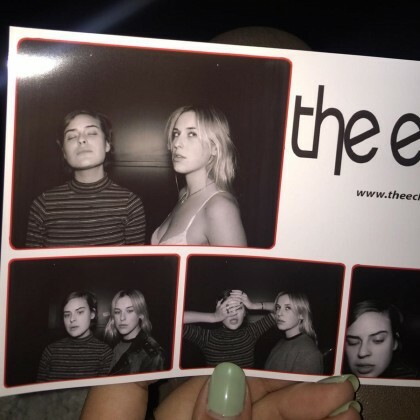 Tallulah Willis and Scout Willis had some photo booth fun at Echoplex in November 2015. 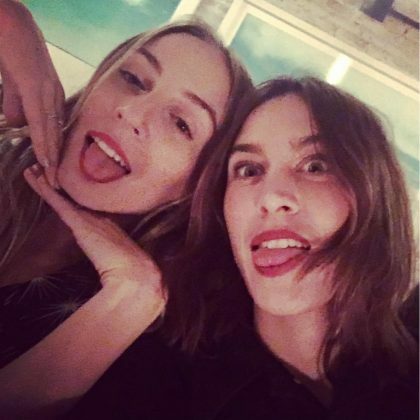 Alexa Chung and her friends were at the Wilderness Reserve in November 2015. 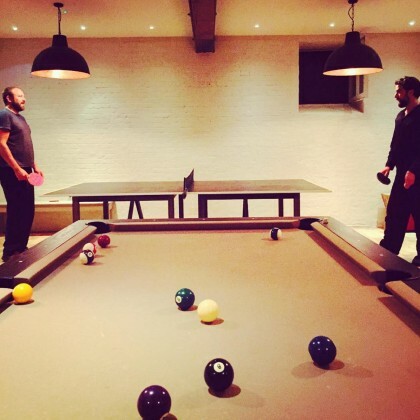 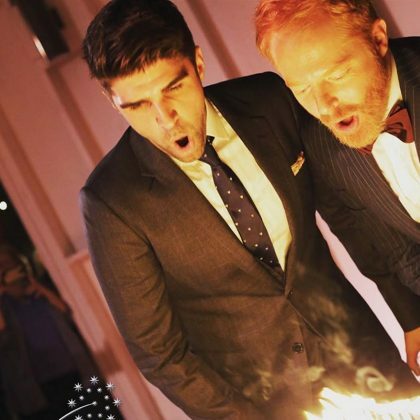 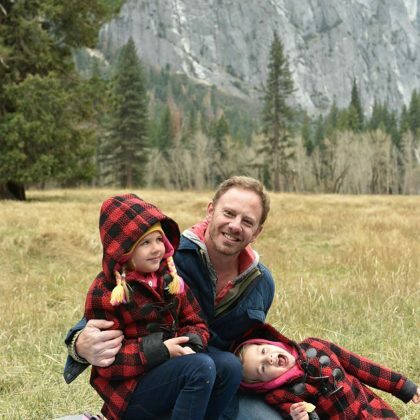 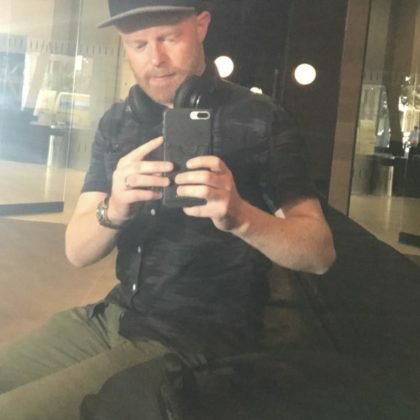 Jesse Tyler Ferguson and Justin Mikita celebrated their milestone birthdays at The Lombardi House in October 2015. 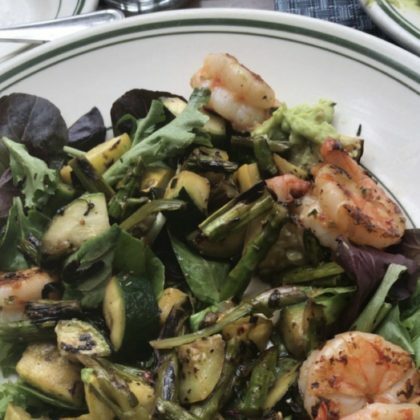 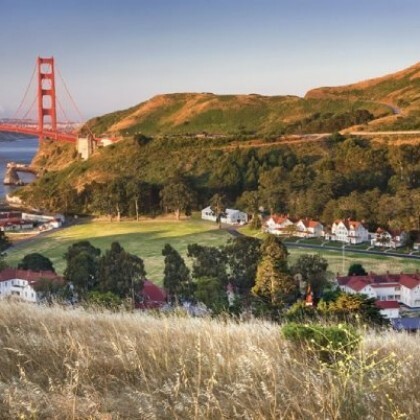 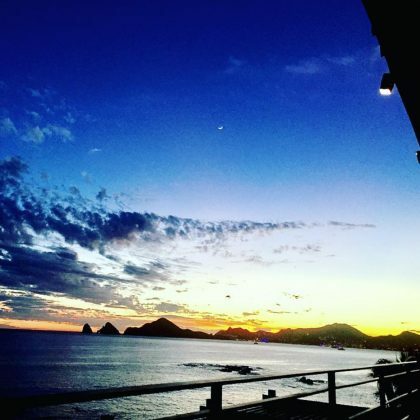 Whitney Port enjoyed great food and great views at The Cape Hotel when she was there for her bachelorette party in October 2015. 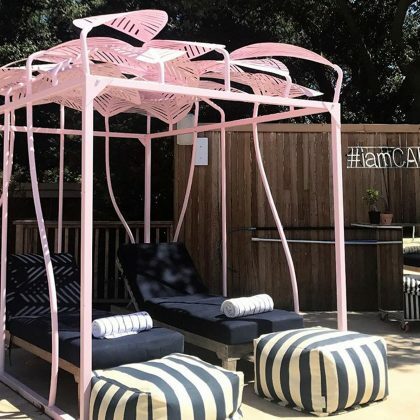 Bar Refaeli celebrated her bachelorette party here in August 2015 in full bride-to-be garb, including a festive veil, glasses, and sash. 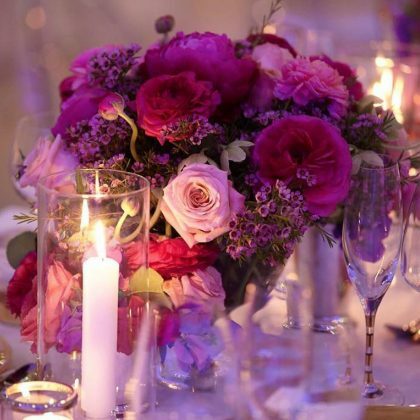 Kensington Palace shared in July 2015 that Princess Charlotte was christened here. 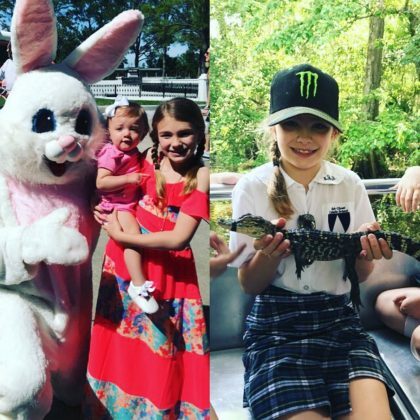 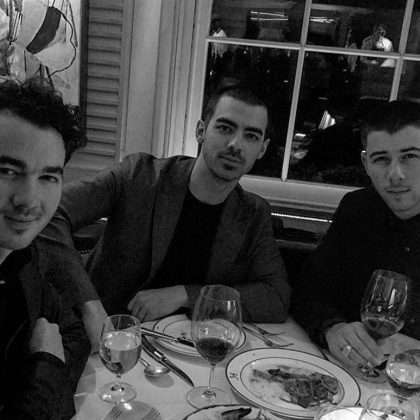 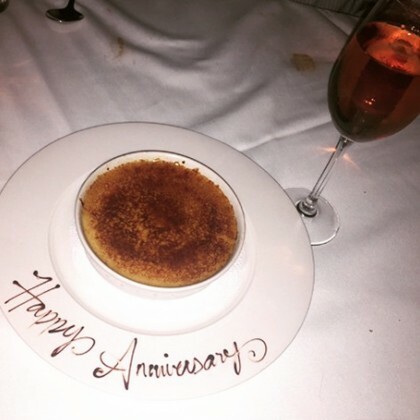 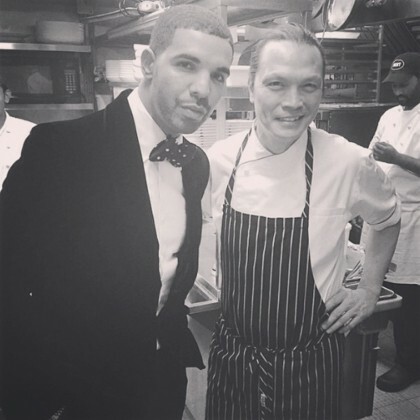 Jamie Lynn Spears thanked Brennan’s for making her “#1yearAnniversary dinner so perfect” in March 2015. 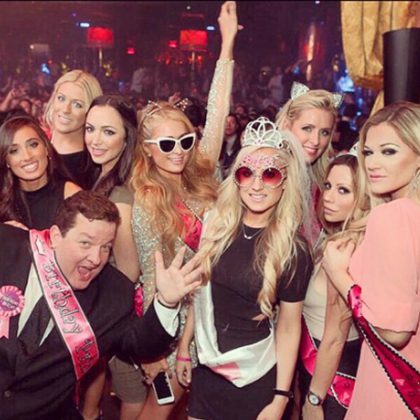 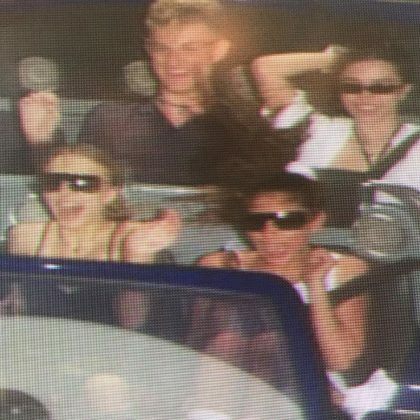 Paris Hilton and Nicky Hilton wore sashes to party at XS Las Vegas in March 2015 for their cousin’s bachelorette party. 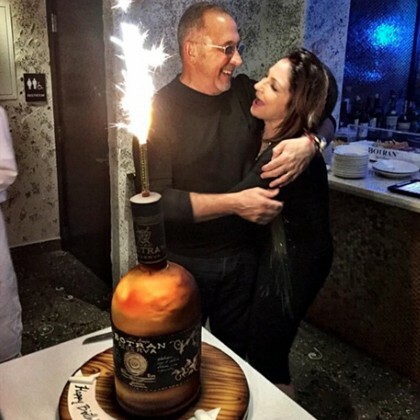 Gloria Estefan got husband Emilio’s “beautiful, original & DELICIOUS” birthday cake from Divine Delicacies Custom Cakes in March 2015. 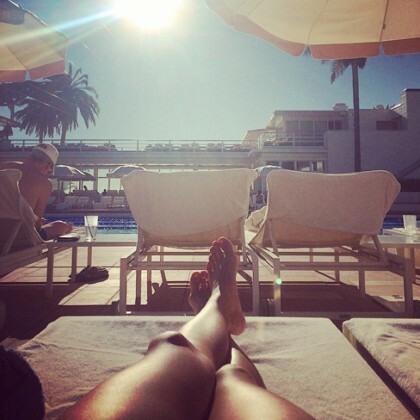 Catherine Giudici did the whole tanning-legs-selfie thing while sunbathing at this private club during her first wedding anniversary trip in January 2015. 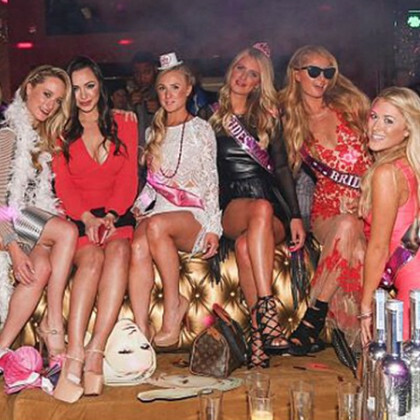 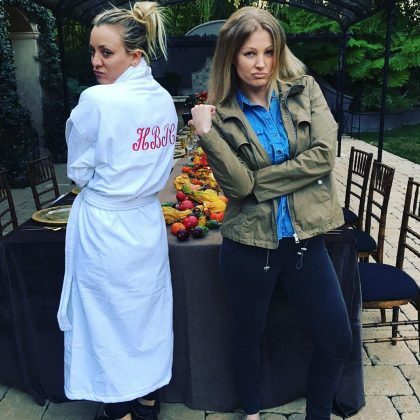 Sisters Nicky Hilton and Paris Hilton partook in some bridesmaid shenanigans — like wearing pink sashes — during a March 2015 bachelorette party for cousin Brooke Brinson that included a table full of bottles here. 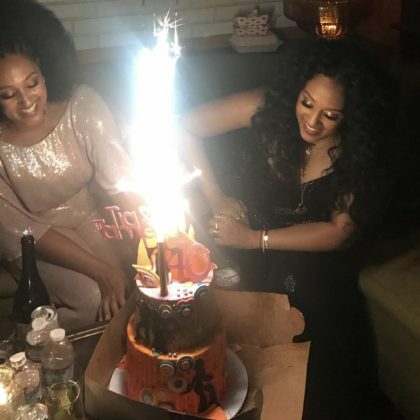 Robert Downey Jr. threw a star-studded 40th birthday bash for wife Susan in Nov. 2013 — Gwyneth Paltrow, Gwen Stefani, and Reese Witherspoon were just a few names on the A-List guest list! 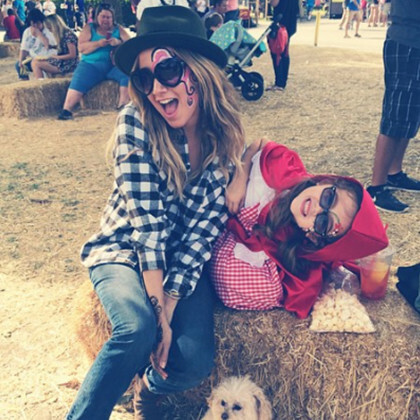 Ashley Tisdale, her dog Maui, and her family enjoyed the Halloween festivities at the farm’s pumpkin patch in October 2014 — Ashley even got her face painted! 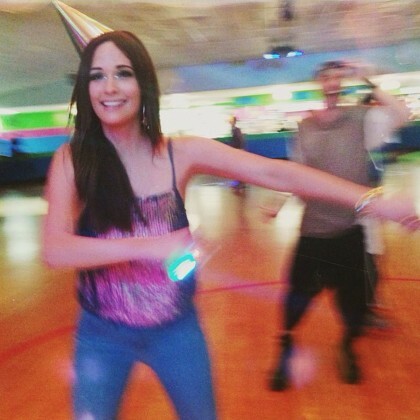 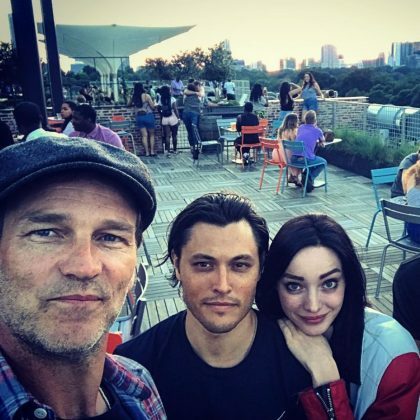 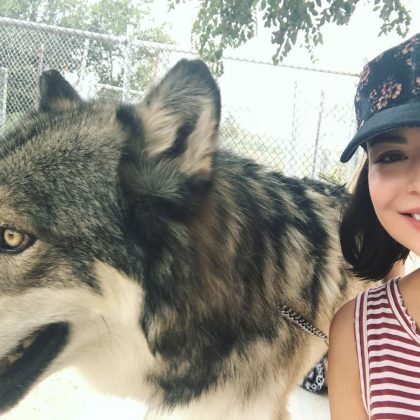 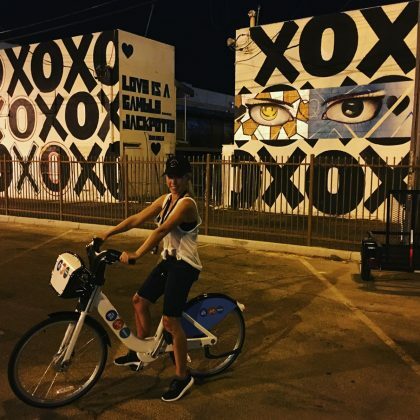 Kacey Musgraves celebrated her 26th birthday in August 2014 with a “#skateparty” at Skateville Family Rollerskating Center — Katy Perry was in attendance for the festivities, which Kacey said were “SO MUCH DAMN FUN!! 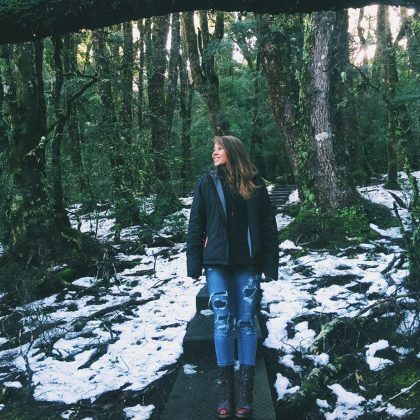 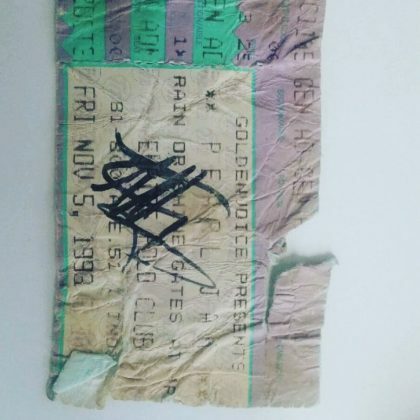 And I didn’t even fall once. 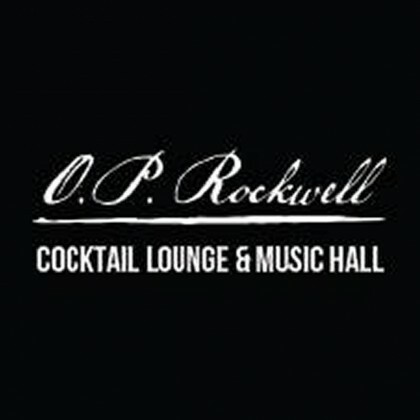 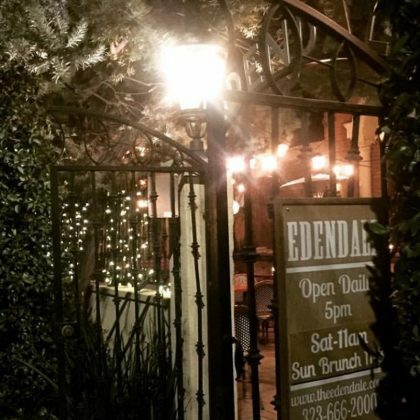 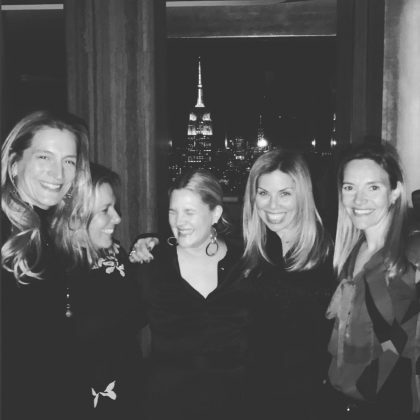 Sandra Bullock celebrated her 50th birthday at this bar in July 2014 with a girls’ night out that included Chelsea Handler and Whitney Cummings. 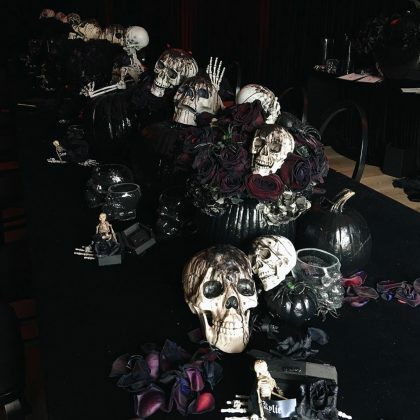 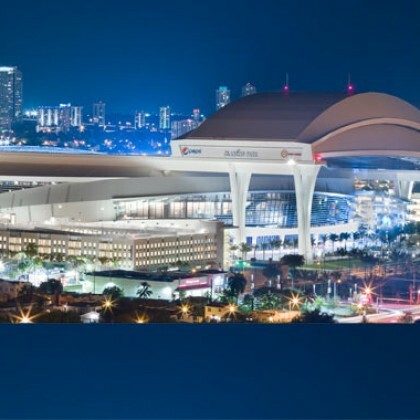 Part one of basketball star Chris Bosh’s 30th birthday party went down in this baseball stadium in March 2014 — the theme was Cirque du Noir! 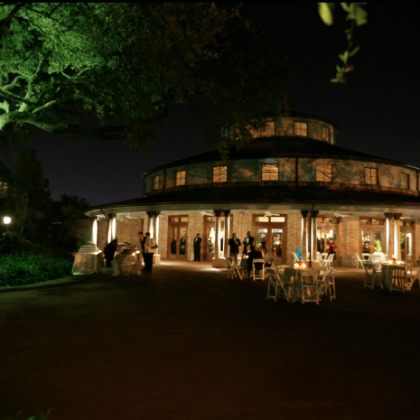 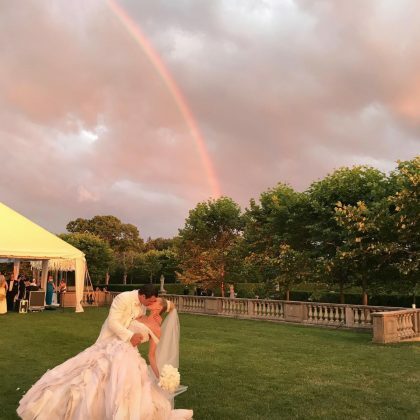 The most prestigious of the Audubon Nature Institute’s venues, Jamie Lynn Spears said “I do” here in March 2014 in front of sister Britney Spears and other family and friends. 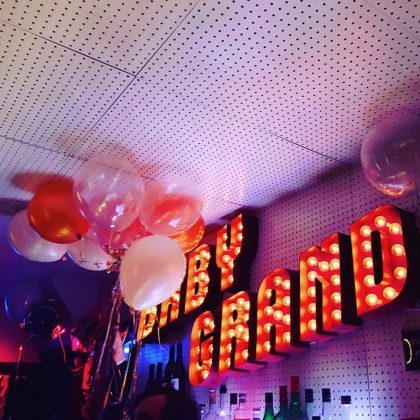 Robin Thicke celebrated his 37th birthday with his boys, including Leonardo DiCaprio, at this dance club/gallery/theater/art house hybrid in March 2014. 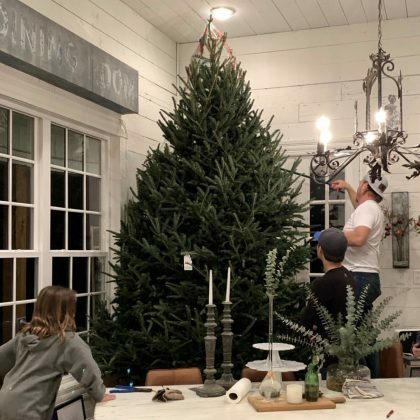 Jesse James Decker was under the weather for her January 2014 baby shower at this quaint event space near Nashville, but still managed to show off her gorgeous pregnant glow at the blush pink-themed bash. 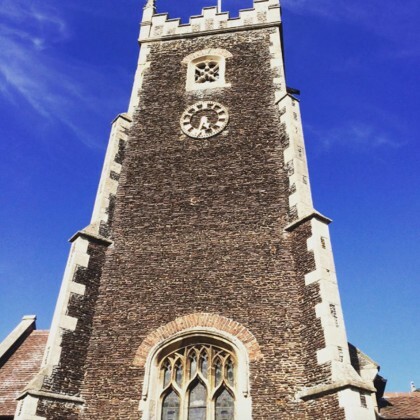 Future monarchs Prince William and Kate Middleton could only be upstaged by their adorable son Prince George, who was king of his christening here in October 2013. 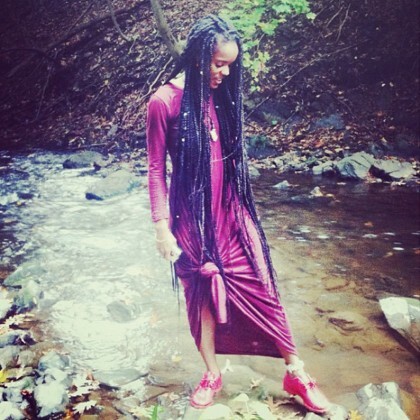 Solange Knowles snapped a shot of a friend enjoying nature here in October 2012.